In all their dealings with Schenectady casino applicants Galesi Group and Rush Street Gaming, Mayor Gary McCarthy, City Council, the Planning Office, and indeed all of City Hall, have acted as if “Schenectady” is the old Mohawk language word for “Second-rate-City.” That supine posture was particularly noteworthy and blameworthy, last February, when our municipal leaders ripped the guarantee of public access to and enjoyment of the riverbank from our Zoning Code’s C-3 Waterfront District requirements, at the request of the Casino Applicants. This posting argues that, as soon as possible, before construction makes alterations impracticable, our City Council must restore the right to public access to the riverfront. 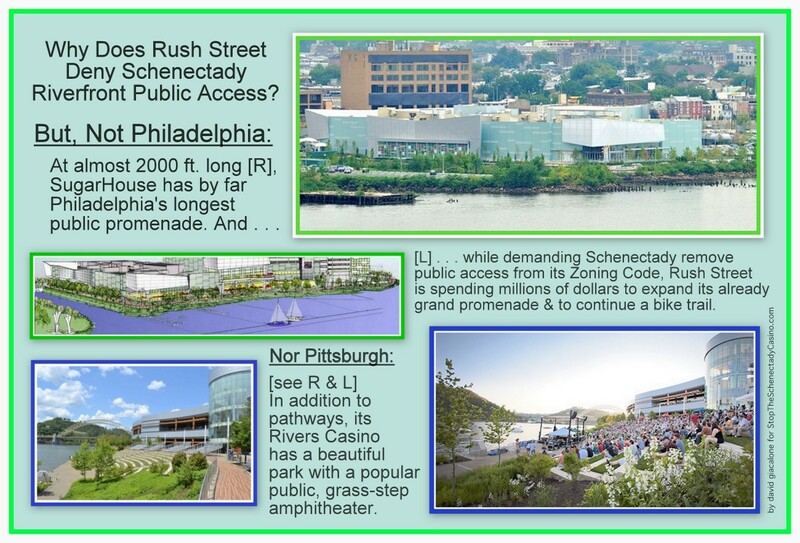 That is not only because riverfront access is the acknowledged best practice for all urban riverside development, and because Rush Street Gaming allows generous public access at both its Pittsburgh and Philadelphia casino locations, but because to fail to restore that right leaves Schenectady in the status of a second-rate City with second-rate citizens. 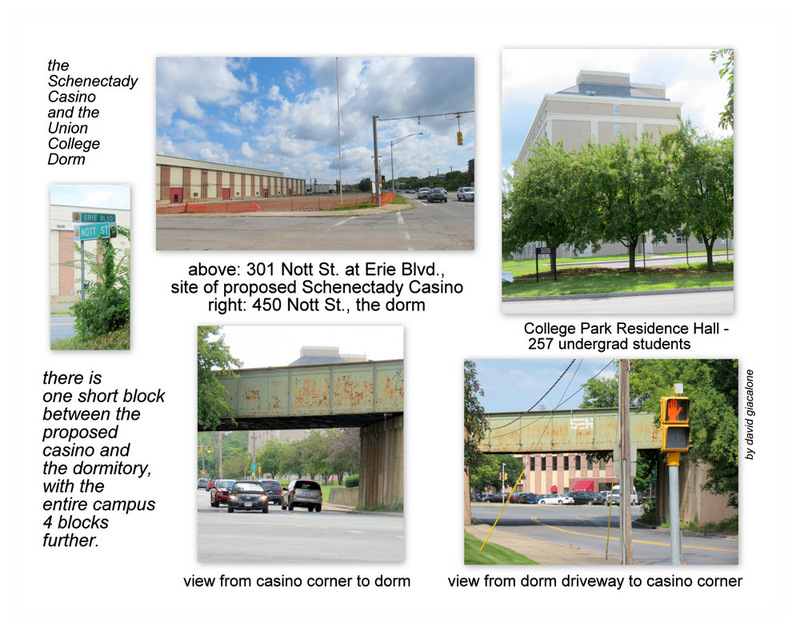 The next two collages tell an important part of the story: 1) the preferential treatment Rush Street has given to two Pennsylvania riparian casino cities compared to the step-child treatment for Schenectadians, and 2) the total lack of rational and persuasive explanation from our City Hall. update (July 24, 2018): In a Gazette article today, Ray Gillen is quoted saying that a Large Vessel Dock they hope the State will fund (with 80% of the cost) will provide real public access. I do not know enough yet to be able to agree or disagree. 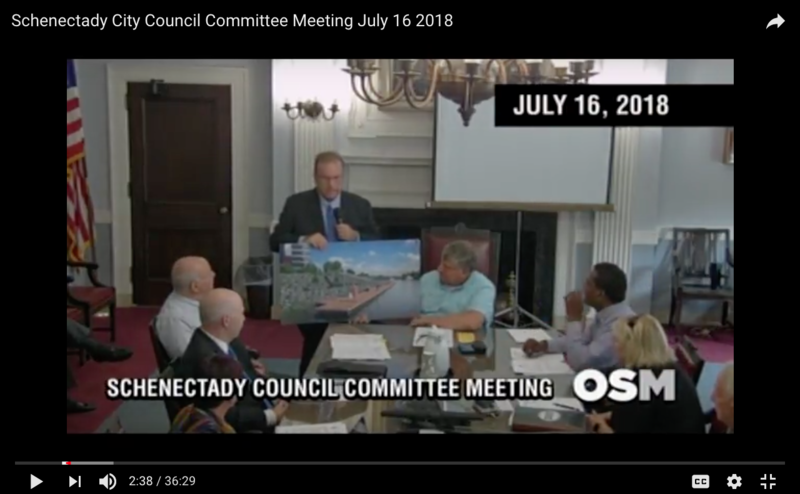 Click this link for a screen shot of a rendering presented by Mr. Gillen’s to the City Council Committee on July 16, 2018. A detail from that presentation is presented at the right of this paragraph, but it has poor resolution. More information will be coming as/if I am able to learn more. follow-up (8 PM): See our posting “the Large Vessel Dock at Mohawk Harbor”, for more information and for two renderings provided by Mr. Gillen. 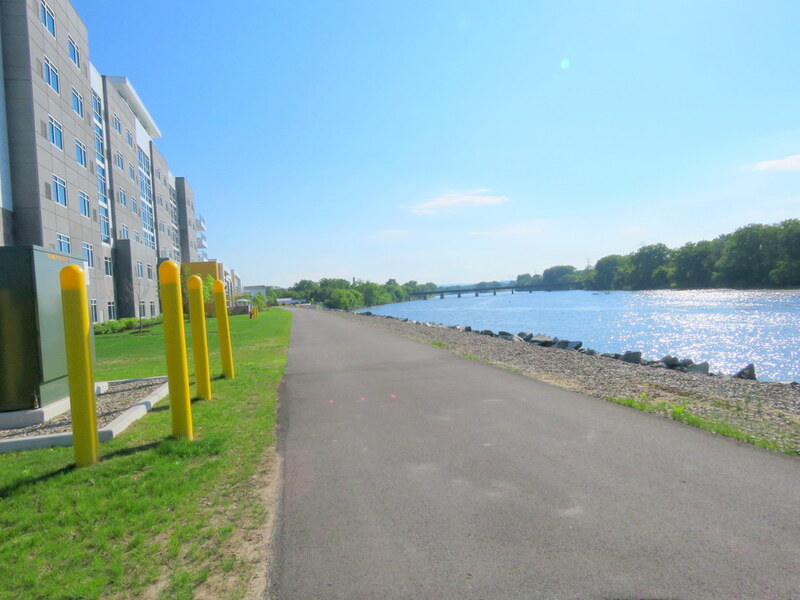 When our Schenectady Comprehensive Plan 2020 was written, and the C-3 Waterfront Mixed-Use zoning district was created, back in 2008, our leaders understood the importance of public access to the riverfront and acted according. 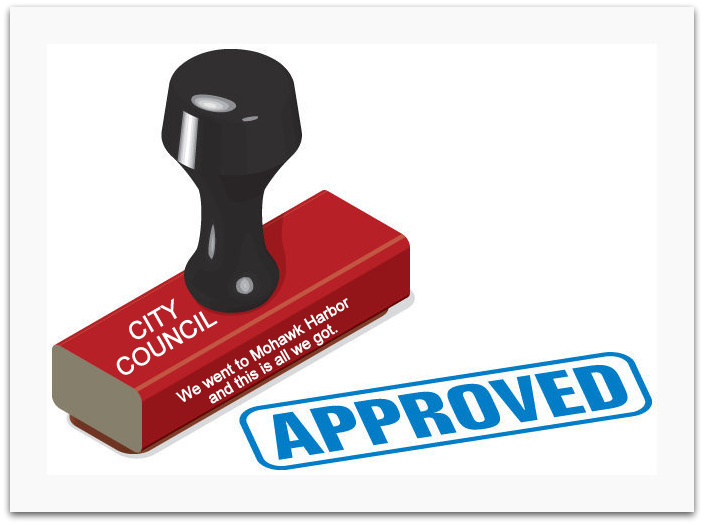 Then City Council President Gary McCarthy was proud of both the Plan and the forwarding-looking requirements of the Waterfront District, which mandated a recorded easement granting permanent public access. For more than half a year, therefore, I’ve been wondering just what the Casino Gang could have said, promised, threatened to change City Hall’s attitude toward riverfront access. Or, was the mere request to strike the access guarantee enough to persuade our timid, starstruck, supplicant “leaders” to forfeit the rights of the people they represent and are obligated to serve? 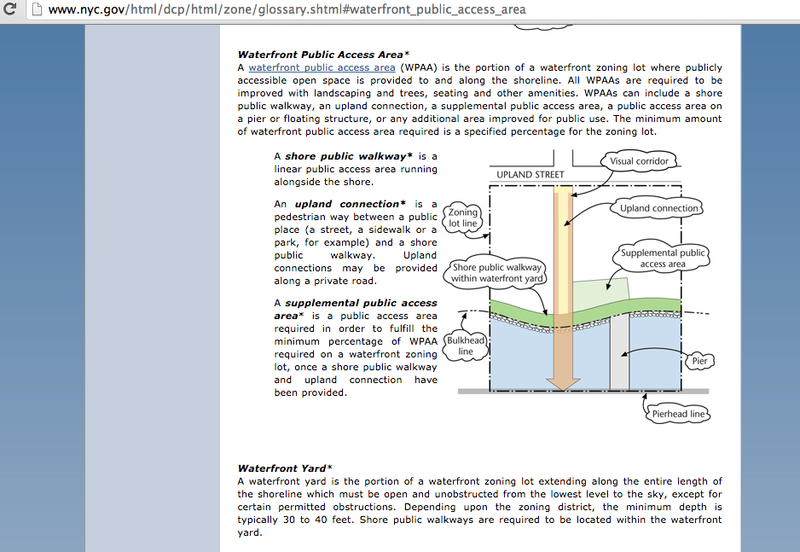 The State of New Jersey Model Municipalities Riverfront Access Guide, detail. The Mayor, as mouthpiece and enforcer for the Casino Gang, was somehow so mesmerizing that even the educated, experienced Director of Development, Jaclyn Mancini, forgot all she knew about the meaning of the words “public access”, and insisted, “They will have access to the retail shops.” “Customer access” is not what is meant by “public access,” and the main purpose of public access is for the people who comprise the public to enjoy the riverfront, not to bring in more shoppers for the retail establishments or gamblers for the casino. When told the access guarantee would be stricken from the Code, Mancini’s zoning and planning staff were apparently too astounded to inform the public of what we were losing, or to quit in protest. 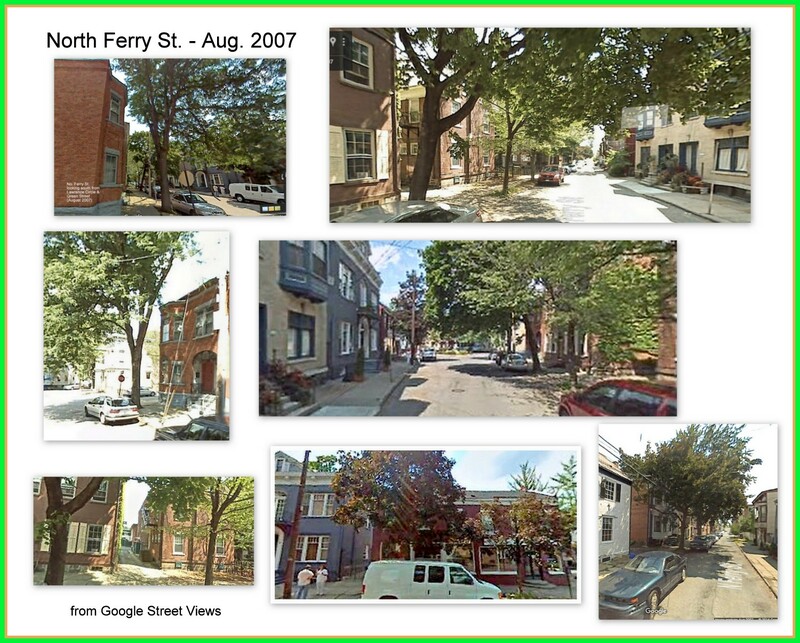 Public Access to the Riverfront: Philadelphia has miles of usable waterfront accessible to the public (along two major rivers, as well as creeks, lakes, and ponds), but it nonetheless continues to demand significant public waterfront access to its riverbanks, even from gaming facilities that it hopes will produce major tax revenues. 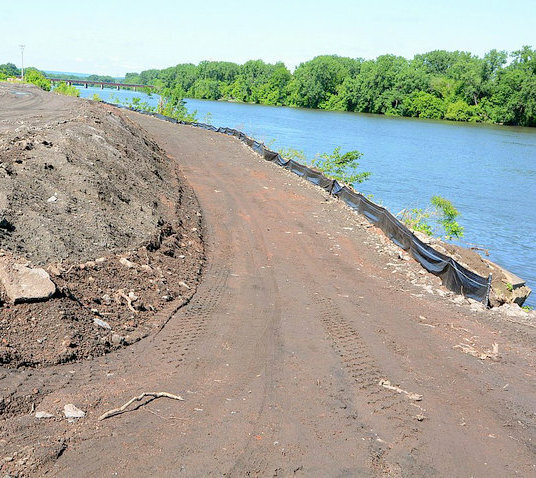 In contrast, Schenectady has virtually no private waterfront beyond Mohawk Harbor that could offer the public increased access to the Mohawk River, but it has revoked the public access guarantees just when they would be applied for the first time. 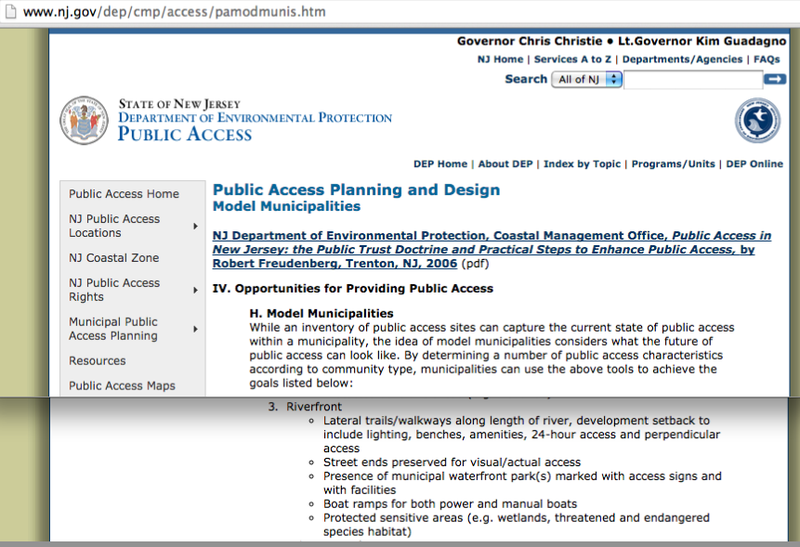 “(c) Siting and Access: (.2) A permitted use developed on a waterfront site must provide dedicated public access to the waterfront, open to and connected from a public street. Public access will be provided along the site’s waterfront length at a width of at least 12 ft.” . . .
•This waterfront access must include open space that is accessible to the public at a width of at least 30 ft., plus a right-of-way dedicated for pedestrian and bicycle traffic at a width of at least 20 ft.
•If the Commission reduces the waterfront setback requirement due to site-specific conditions, the setback may not be less than 30′ in width and must include the bike-ped right-of-way that is a minimum of 20′ in width. [See §14-405(3)(e), which is a portion of the “Yards” section of Area Regulations for the SP-ENT casino district. . . 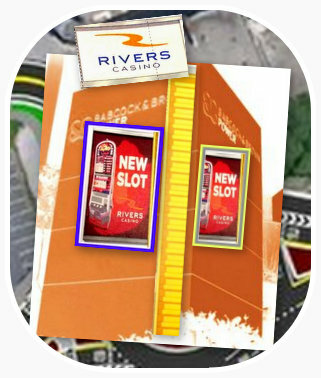 There is no indication in the latest, limited rendering of the riverfront view of the casino complex from Rush Street (see above), that there will be any public access “amenities” other than the pedestrian-cyclist path along the River. There appear to be no spots for anyone other than casino patio customers to sit down, and no space for picnicking or similar waterfront activities. Whether you are a senior citizen, a tired runner, a family with children, or a couple on a date, “keep moving” and “stay on the path” will apparently be the message from Rivers Casino at Mohawk Harbor, compliments of Mayor McCarthy. 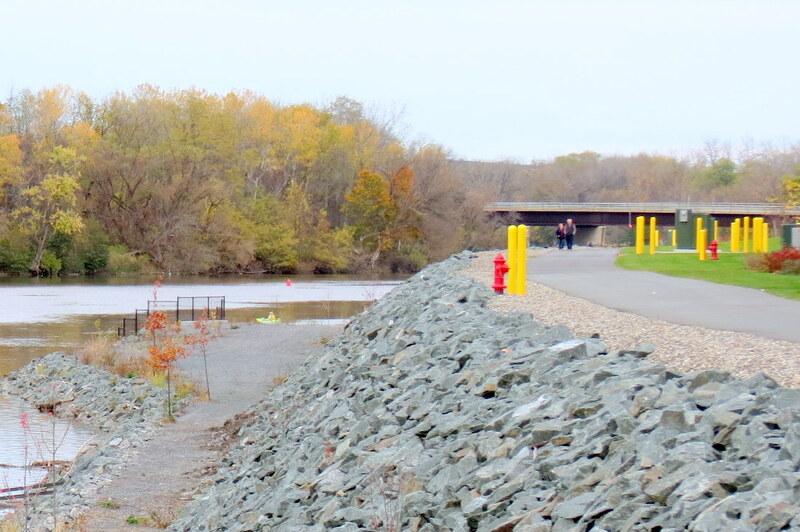 The steep drop-off from the pathway shown in the June 10, 2015 Gazette photo (see Left) of the construction site may not be indicative of the final grading along the riverbank, but in combination with the benchless, treeless, rendering, it surely suggests that the public is invited to use the path that takes them through Mohawk Harbor, but not to dawdle along the Mohawk. We are 18 months or more from the opening of a casino at Mohawk Harbor. 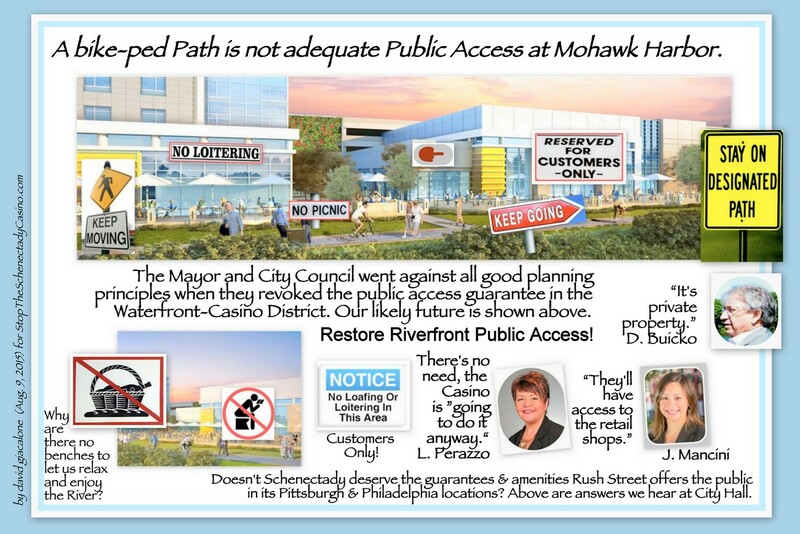 Quick action by City Council and the Mayor to restore the public right to riverfront “access and enjoyment” can fairly re-impose this obligation, which existed long before Mr. Galesi purchased the old ALCO site for future development of Mohawk Harbor, and for the entire time Rush Street Gaming was applying for its casino facility operating license before the NYS Gaming Facility Location Board. Indeed, nowhere did Rush Street inform the Location Board that it planned to ask that riverfront access be ripped from the existing Schenectady Zoning Code. Is there no City Council member who is interested enough in restoring the riverfront public access promised in the City’s Comprehensive Plan to come forward with a proposal to restore that right? Is the Mayor finally willing to declare his independence from the Casino-Galesi Gang and Metroplex and come to the defense of his public and their riparian rights? Or, am I about to be knocked off my quixotic horse one more time? wider (39′, instead of an already excessive width of 38′).
. . . than the versions shown to the public. Click on the collage to the Right of this paragraph for the details. 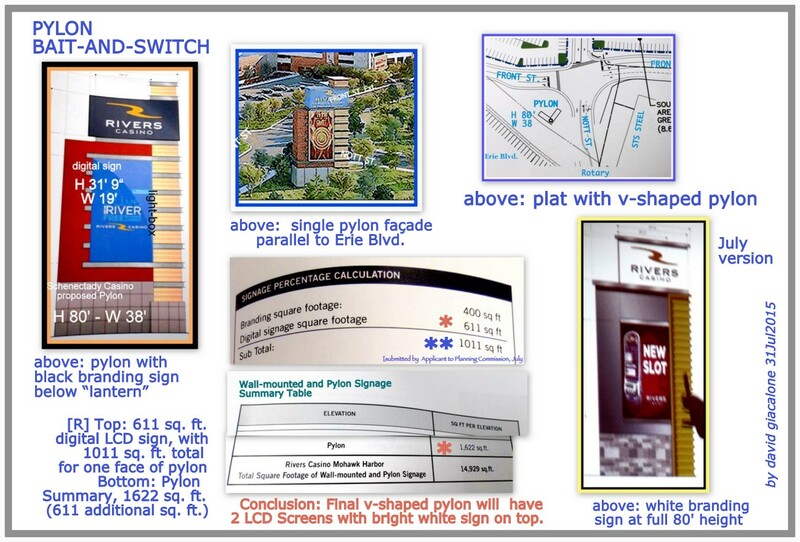 The Switch: First presented and approved at the July 22, 2015 Planning Commission site plan review special meeting: An 80′ by 39′ pylon façade, in an unexplained and never-depicted v-shape configuration, without a slimming “lantern” on top, and with its branding sign now having a much brighter white background and raised to the top of the 80′ structure, far more prominent in the sky. In addition, there will be a second 611 sq. ft. monster LCD screen, with one aimed at traffic reaching Nott Street and Erie Boulevard from the east, and one aimed at traffic coming up Erie Boulevard from the west. What would a v-shaped pylon of the size contemplated by Rush Street look like, and “feel” like at that location? It is hard to know, given the failure of the Applicant to supply a rendering or sketch and of the Commission or its staff to demand this crucial piece of site plan documentation. Our search has found nothing similar in front of a casino on this planet. The “sample” v-shaped pylon to the left of this blurb is by a Polish firm that says the steel girders can be up to 9 meters high, and each advertising sign 2.5 m. by 6 meters. That would make each wing of the “v” in the photo perhaps 35 feet tall and 24 feet wide. Also note, the branding section on top is not illuminated from the inside and there are no giant digital displays. 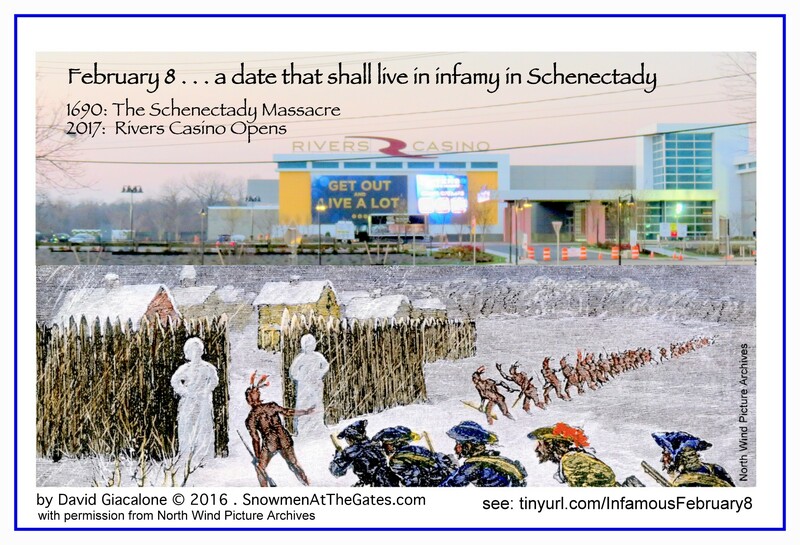 Follow-up (Feb. 11, 2017): Speaking of bait-n-switch, see our posting “where did this unattractive Schenectady casino design come from?” (Feb. 9, 2017). 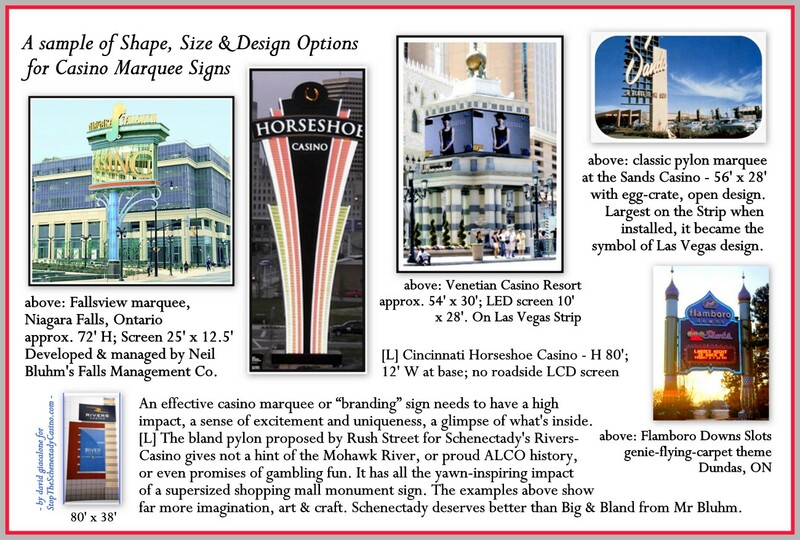 Rush Street has proposed a pylon sign design as mediocre as its overall casino design, and wants to place it at the worst possible location when safety and aesthetics are taken into consideration (find full explanations in the posts listed in our Pylon Directory). Rather than allow the Rivers Casino to foist its monster pylon on this City, the Planning Commission needs to decisively wield its authority under the City’s Site Plan review process, instead of yielding it to Rush Street and the Mayor’s Office. The Commission should re-read the clear language of its duties and powers under our Zoning Code, and not be swayed by any pressure from the Mayor or advice from Corporation Counsel Carl Falotico to stand down on this matter (as happened during the Commission’s review of the C-3 amendments in February). 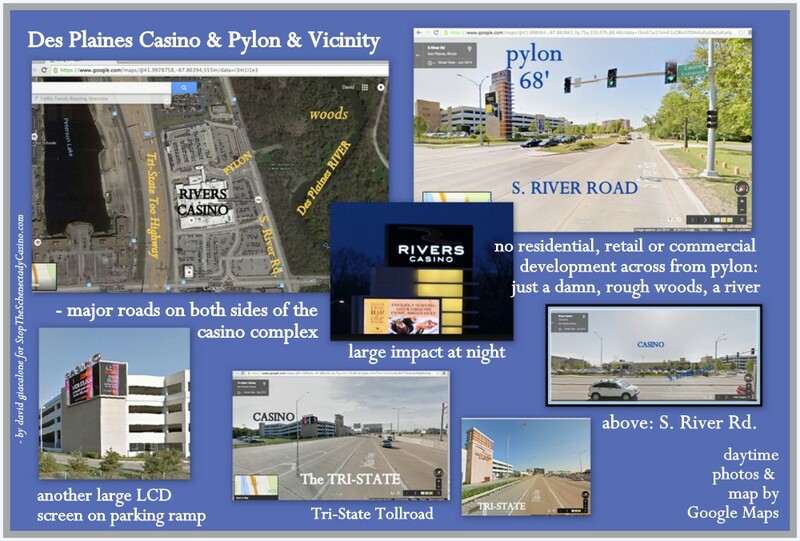 update (July 23, 2015): see “casino site plan approved: pylon, too” (July 22, 2015); and click here for a pdf version of my July 22 Comments to the Commission. Corporation Council Carl Falotico stressed that the commission has the ability to evaluate the aesthetic visual impact of the project even if the plans satisfy zoning requirements. We urge each of the nine Planning Commissioners to take those words and their oaths of office to heart when reviewing the most important Site Plan they are ever likely to encounter. As we have repeated often, there is no urgent need to sacrifice a full review merely because Rush Street keeps making the same false claims of deadline pressure. It will not have to open its casino for at least 26 months, and an appropriate pylon sign structure can be designed and installed in a couple of months. Because a thorough review requires a full set of Site Plan documents from the applicant, we also urge the Commission to demand all necessary documents, as mandated in §264-91 Application and Required Information, before granting the requested Site Plan Permit. If necessary with this complex, multi-faceted Plan, the Commission should consider approving various portions in stages, reserving final approval until it has received all required documents, and sought any expert opinion need to supplement the knowledge of staff and Commissioners. 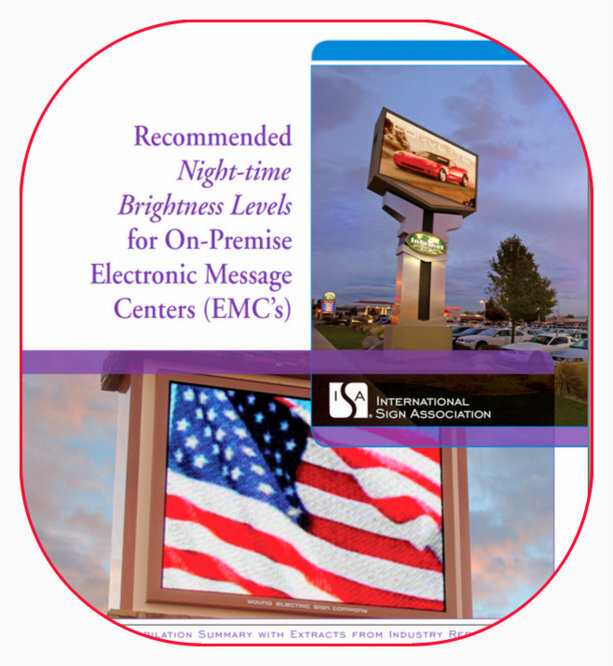 Similarly, the brightness and distraction of a huge electronic display (proposed to be 32′ by 19′) raises such significant issues with glare, driver confusion, particularly in inclement weather on unfamiliar roads, and the disturbance of nearby residences, that the Commission should take advantage of the International Sign Association’s “Recommended Nighttime Brightness Levels for On-Premise Electronic Message Centers [EMCs]“. The Commission should (1) consider adopting ISA’s Illumination Limits: “The difference between the off and solid-message measurements using the EMC Measurement Criteria shall not exceed 0.3 footcandles at night,” and possibly contacting the Statement’s primary authors; and (2) specifically ask Rush Street to demonstrate the proposed LCD screen will meet the ISA brightness standard. Additional information and explanation from the Applicant should also be required concerning how the siting of the pylon is likely to impact on nearby traffic and nearby residences, including those in the East Front Street and Stockade neighborhoods, on Goose Hill, and in Union Colleges housing, including the 7- story dormitory a block away. §264-91 G. Such other and further information or documentation as the Zoning Officer and/or Planning Commission may deem to be necessary and appropriate to a full and proper consideration and disposition of the particular application. 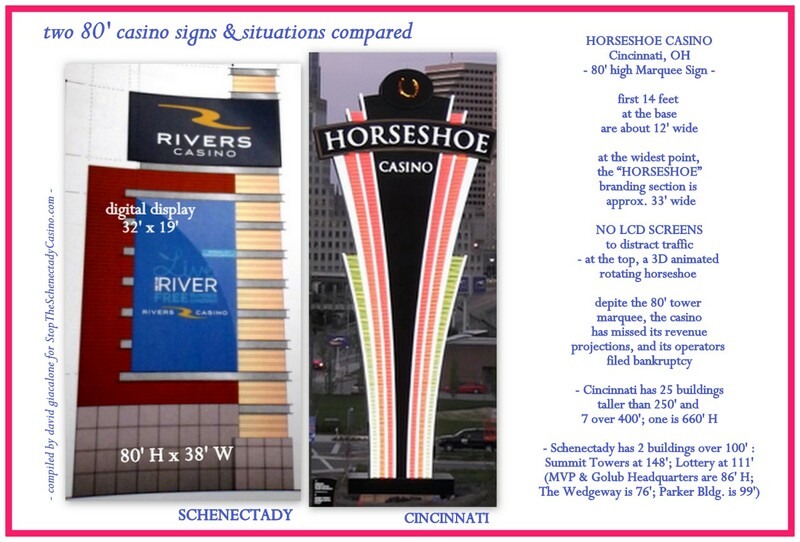 . . click to compare the Schenectady pylon to the Cincinnati Horseshoe pylon marquee.. Better Design. 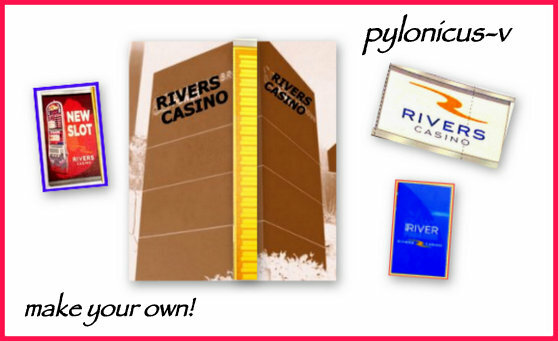 Any large pylon or “marquee” signage meant to draw attention to Rivers Casino at Mohawk Harbor may become the primary image of Schenectady for many prospective and actual casino patrons, and will be a constant presence for a very large percentage of City and County residents. Its appearance should be much better than simply “okay enough” or “not particularly ugly.” It must be better than “good enough” to be approved. Although it is a matter of taste, the Commissioners are called on to make such judgments often and should not shy away from doing so on the casino project. 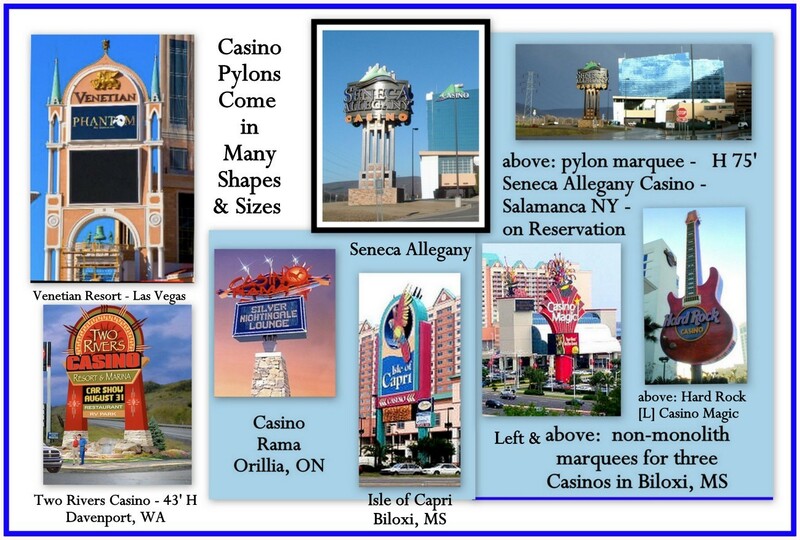 A lengthy search online has resulted in my discovering only one casino pylon somewhat similar in height, bulk and blandness to the one proposed for Schenectady, and that is the Rivers Casino pylon in Des Plaines, Illinois. The Des Plaines pylon [image at the right] would, in my opinion, be rejected for use as a shopping mall monument sign in even a less-than-trendy suburb. Its Schenectady sibling will surely not improve its appeal merely by being significantly taller and wider. A new design with more “style” and artistic impact is called for, simply from the standpoint of what makes effective signage. As with the overall Schenectady casino design, which is quite uninspiring compared to proposed casino plans in other cities and towns wooed by Applicant Rush Street (see “why does Schenectady get Rush Street’s scraps“), Neil Bluhm and his casino subsidiaries seem to have taken a much different approach at their other locations to the need for or design of major outdoor signage. Thus, Philadelphia’s SugarHouse and Pittsburgh’s Rivers Casino have no pylon or similar giant freestanding sign, despite being in cities filled with skyscrapers blocking views. Naturally, I’m not saying Schenectady should have a pylon-marquee sign just like Fallsview. 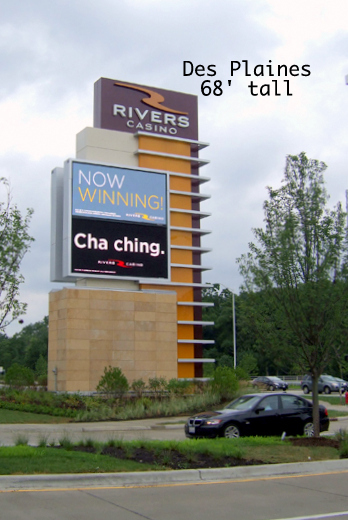 For one thing, the LED screen ( 25′ x 12.5′) may still be too large for a streetside sign. And, at about 70′ tall, it might fit the scale of nearby buildings better in Niagara Falls than in our City. But, we do deserve an image that shows some of the thought and art that went into the Fallsview sign. It could perhaps reflect the presence of a lovely Mohawk River location, or the ALCO history of the site, or Schenectady’s colonial past. Most important, it should reflect something unique, fresh, and aesthetically pleasing, and be designed at a size and with electronic display elements appropriate for its location. My first set of pylon-related Comments to the Planning Commission (June 17, 2015) contains additional discussion on issues raised above, especially the safety problems posed by placing large digital displays close to busy intersections. 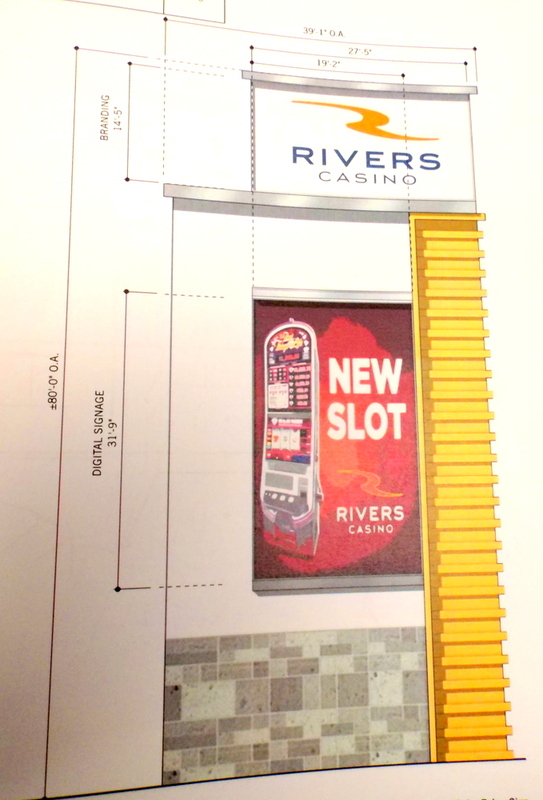 How does a 49′ tall building block the view of a 71′ tall Casino that is sitting on land raised a few additional feet above the floodplain, which could also have a roof sign? Why did you choose to place the casino partially behind the STS Steel building, if that is a big concern, when you have over 20 acres to choose from? When the entire project, river-side and street-side. 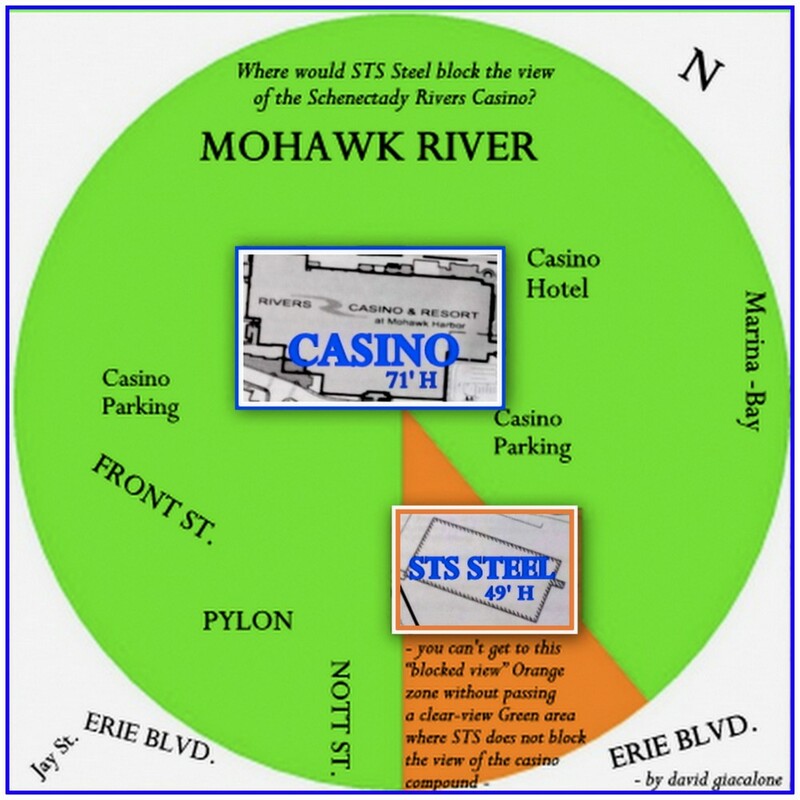 is taken into account, wouldn’t a Pie Chart show that STS Steel makes up a tiny sliver of the sightline into the Casino, and one could not get to the “blocked” area without passing by an area from which the casino compound is visible? 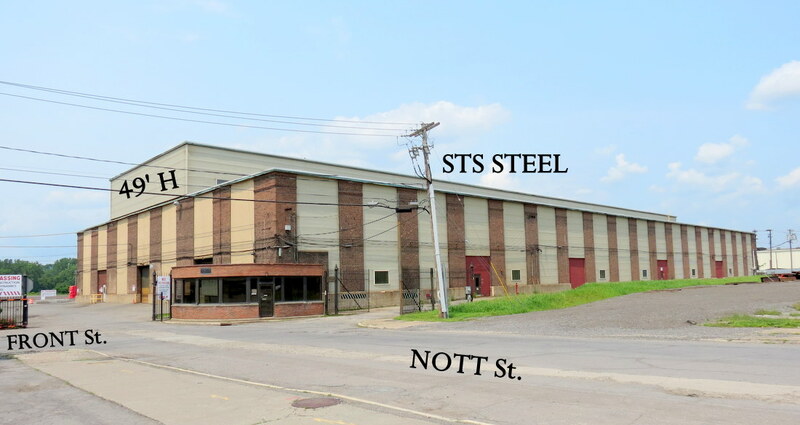 [click on image at the head of this bullet point] Also, will Rush Street put in a much smaller sign if it succeeds in pushing STS Steel off the old ALCO site? Who is going to be in or near Schenectady when the Casino has opened who won’t know there is a casino here? How will a giant pylon guide drivers (front- or back-seat) off exits and through the streets of Schenectady? And, won’t there be plenty of signs along the way on our streets? How do we balance the aesthetic damage and traffic hazard of such a large and bright pylon sign, and its intrusion on the skyline of our low-rise City (becoming the new Symbol of Schenectady), against its minimal actual usefulness? 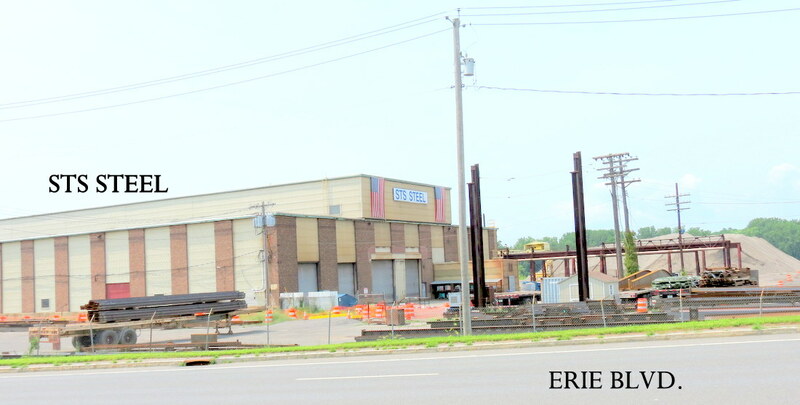 above: rendering of 80′ pylon [L] and 49′-tall STS Steel Building seen from Erie Blvd. To put it charitably, the STS Excuse is silly and the acceptance by City Hall and the Media irresponsible and embarrassing. This posting will use images, photos and words to rebut head-on the STS Steel Excuse for a monster pylon. 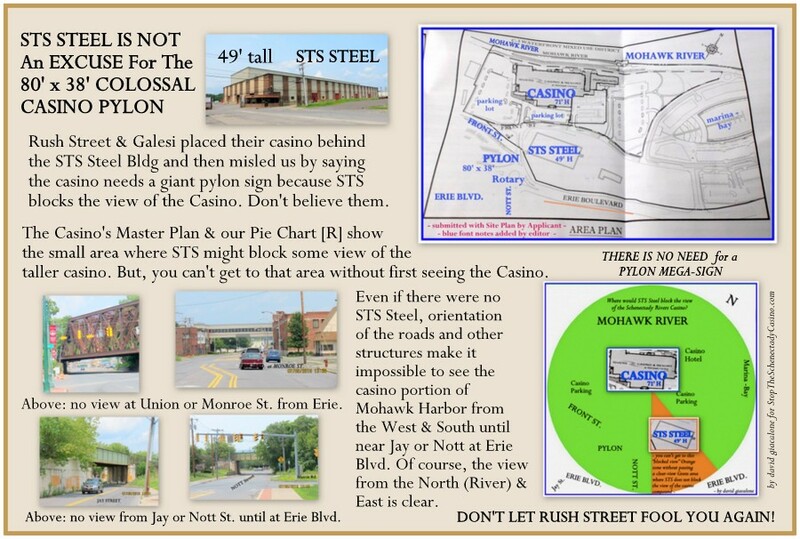 There is no need to balance the benefits and disadvantages of the monster pylon, because the STS Steel Building is simply not in the way of viewing the casino. 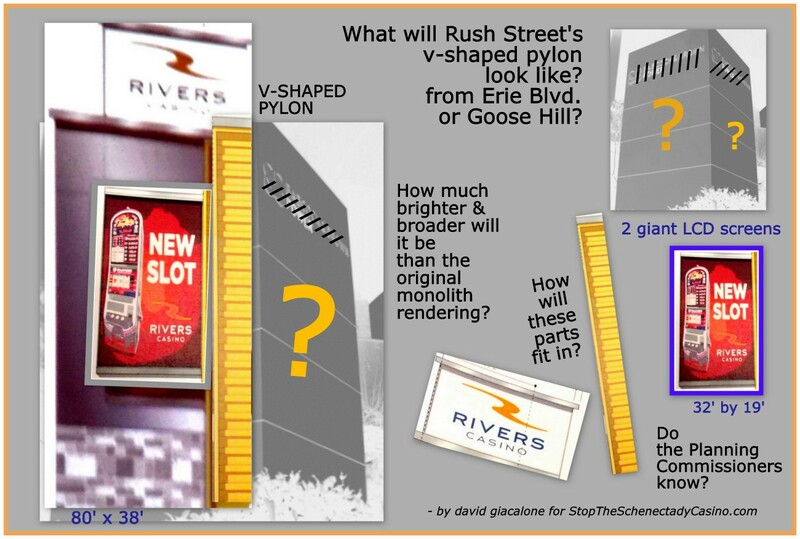 For other factors causing us to oppose the Monster Pylon, see Shrink that Pylon, which looks at the safety issues and the lessons taught by the Rivers Casino pylon in Des Plaines, and our “pylon envy?” piece, which compares the proposed pylon to signage at other casinos and to the rules that every other business must obey in Schenectady. 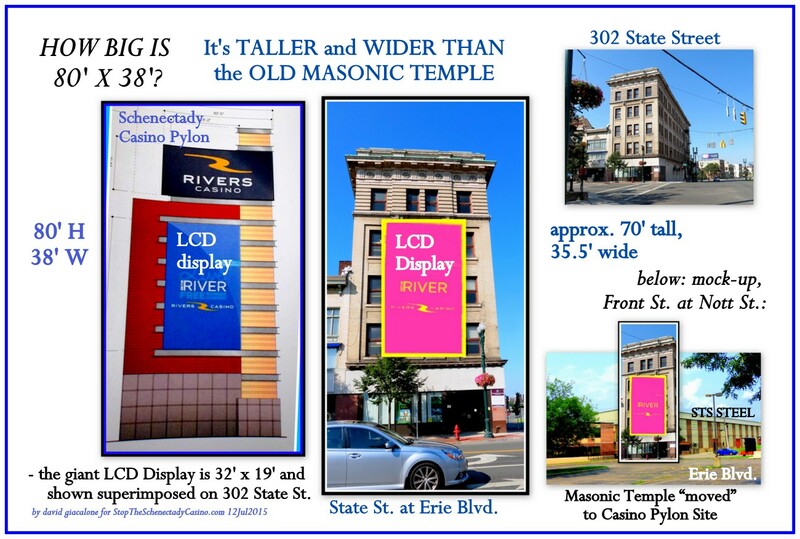 And, see “how big is 80 feet by 38 feet?” (July 12, 2015), which reveals that the proposed pylon sign is both taller and wider than Schenectady’s former Masonic Temple, at 302 State Street. 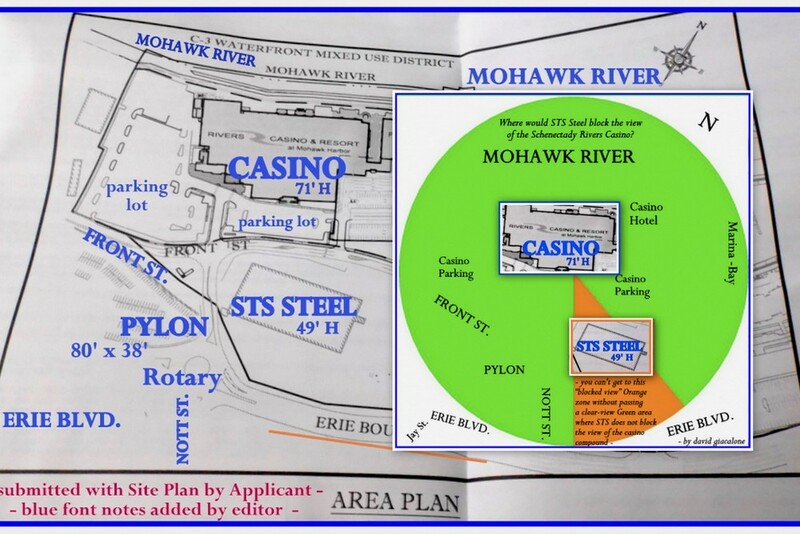 As can be seen on the Area Plan submitted in the Applicant’s Site Plan materials (above), even if the Casino building were not 20+ feet taller than the STS Steel Building (plus, on land raised a few feet to be above the floodplain), the locations and orientation of the two buildings means that STS Steel is not blocking the view of the Casino for traffic heading NE on Erie Blvd. 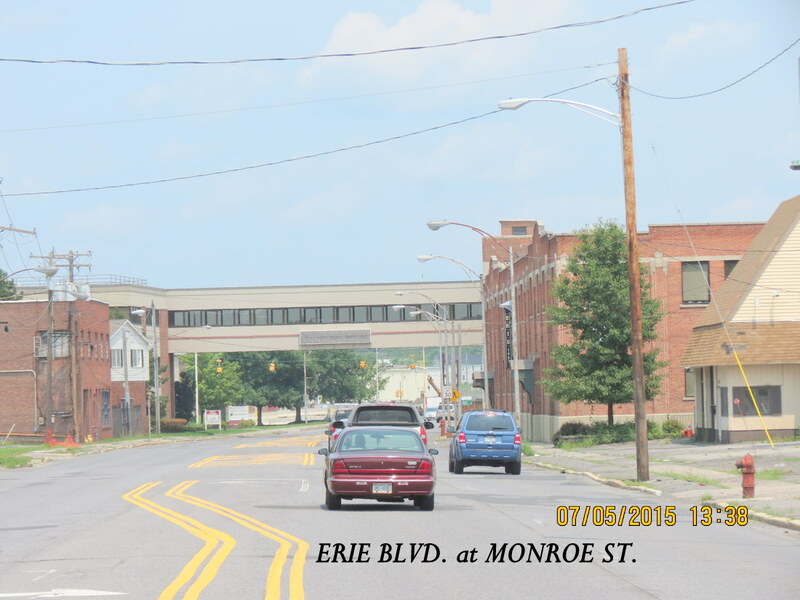 (from I-90, State St. or Union St.), nor for traffic heading SW on Erie Blvd (from the Freedom Bridge or Maxon Rd. Extension) until a vehicle is actually alongside STS Steel. Click here to see the Pie Chart above combined with the Casino Area Plan. 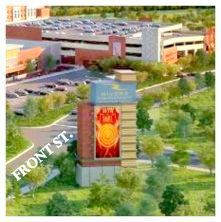 Ironically (see mock-up above), the giant pylon would surely block the view of the Casino itself for those coming NE on Erie Blvd., or entering Erie Blvd. from Jay Street, to a far greater degree than the STS Steel Building does. With the removal of the Automated Dynamics Building along Front Street, the view from the block of Erie at Jay Street should be a large open parking lot that permits viewing of the Casino until the point where the pylon blocks the view. 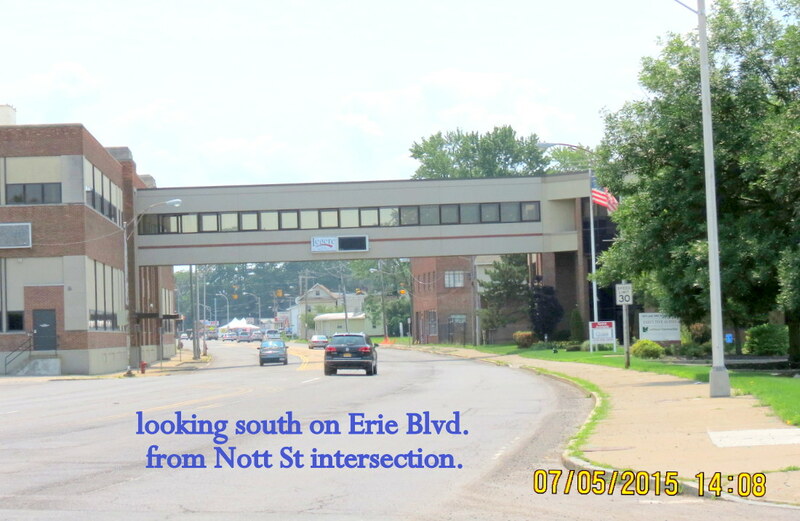 And, even directly across the street from STS Steel and Mohawk Harbor, at the SE corner of Nott St. and Erie Blvd. (under the railroad trestle), a driver should be able to see the top of the Rivers Casino and any rooftop signage over the roofline of the STS Steel Building. The constructed image to the right illustrates the likely view, which should signal even the most oblivious driver there is a Casino neaby. 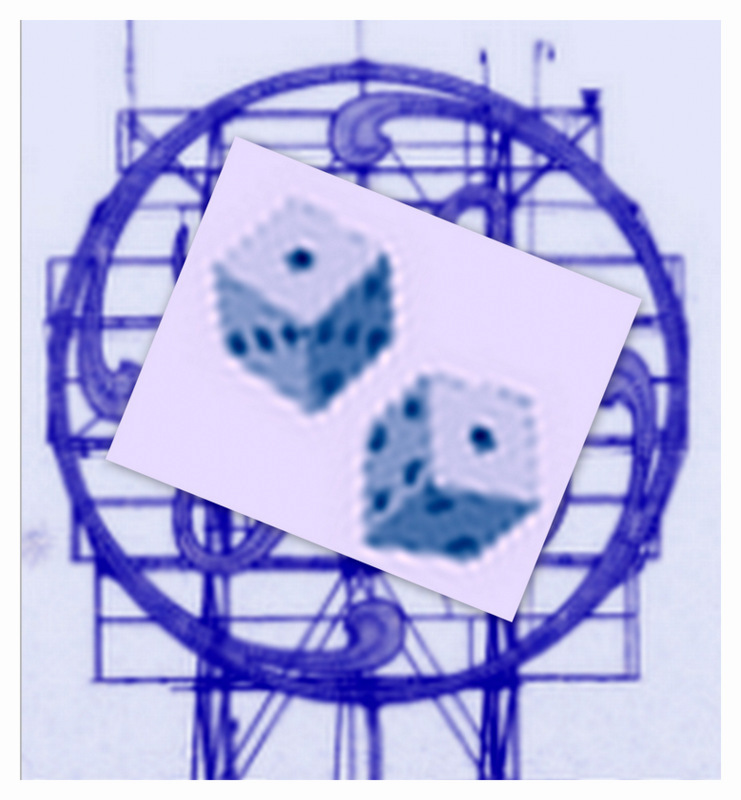 Given the reality of the Casino “viewshed”, the only reasonable conclusion of those observing the zoning amendment and site plan process to date, is that there are but two reasons giant pylons were permitted in the C-3 Waterfront zoning district: (1) The Gasino Gang wanted them, and (2) no one at City Hall had the courage to do his or her duty and speak truth to power: that the proposed pylon was “the wrong size and wrong location, and the STS Steel Building is simply not a valid excuse”. Those strong words have not loss their significance, but it is tempting to be more antagonistic toward the Casino Gang half a year later, given the many half-truths and deceptive arguments they have made in their bamboozling and steamrolling of City Council and the Planning Commission and the public. Nonetheless, it seems clear that the words are even more apt when applied to City Hall — the decision-makers in the Mayor’s Office, the Planning and Law Departments, and those whose votes on the Council and Planning Commission should and could have protected the City and its residents. (Perhaps, I’d substitute the more damning word “irresponsible” for the adjective “brutish” when targeting City Hall.) Although deceptive business practices are unlawful in our legal system, we expect businesses to use sharp practices when hundreds of millions of dollars are at stake and often wink at them. However, if our system of government is to work effectively, and ever hope to gain the confidence of the people, we cannot permit those who purport to be acting on our behalf and enforcing the letter and spirit of our laws to passively accept arguments and statements that have no basis in fact or law. why does Schenectady get Rush Street’s scraps? It seems obvious that a “destination resort casino” should be designed to look and feel exciting and extraordinary. The Gazette editorial board thinks so, and so does our Planning Commission. Why, then, has Rush Street Gaming handed us two minor league designs, just boxes on boxes, and a casino complex easily relegated to the realm of humdrum regional facilities? 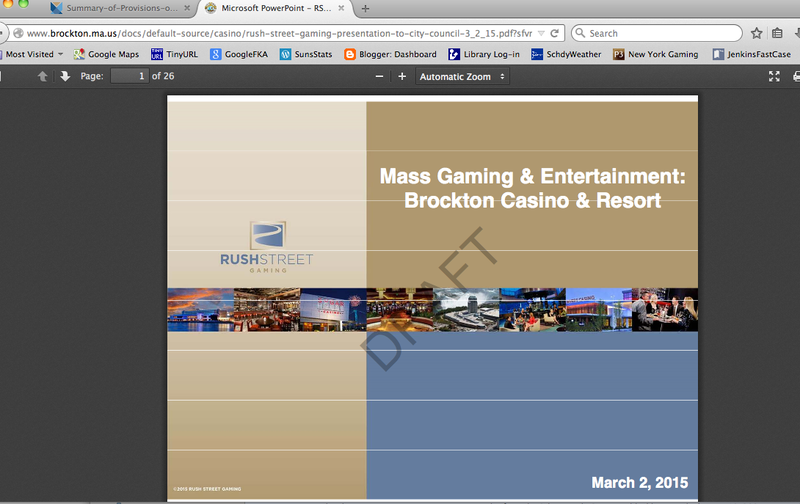 It is not because Rush Street does not know how to put a little sparkle or class in a casino design. Click on the collage to the right of this paragraph to compare the two Schenectady designs with three others recently proposed by Rush Street. 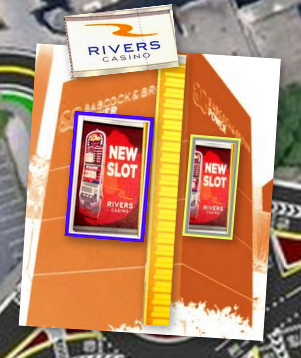 (You can also click the following links to see separate images of the gaming facilities in Worcester (also here and there), and Hudson Valley, as well as Brockton 1 and Brockton 2, and Millbury; also, see our posting “Schenectady casino redesigned“, June 4, 2015). Bluhm was right to call the Worcester design beautiful, and we have to give him credit for not trying to tell us the same thing about either Schenectady design. By the way, I wonder how much the architect bill was on each of the projects shown in the above collage. Considering they cloned the Des Plaines model for the 1st Schenectady design, and Rush Street CEO Jeff Carlin said the 2nd Schenectady design is just prefab modular that makes it easy to change, I bet the other projects were a bit more dear. Our first guess as to why Rush Street does not try very hard for Schenectady is that it has had our “leaders” fawning over it ever since the first rumor of a casino was in the air early last year. This morning’s Schenectady Gazette suggests another reason: As with the earlier zoning amendments, the normal Planning Commission process has been aborted (hijacked? ), with the skids greased by the Mayor to make sure Galesi and Rush Street never have to wait very long to get their wish list fulfilled, and with public input stifled whenever possible. Thus, the Gazette reported that “Schenectady Planning Commission held closed meetings on casino plans – State official: Sessions legal but ‘evasive’” (by Haley Viccaro, A1, June 19, 2015). Observers of Schenectady’s government in action are “seldom surprised, but often shocked” and disappointed. The revelation that our Planning Commissioners met in 4-person “subcommittees” with Rush Street Gaming and the Mayor to discuss the important issue of casino-design is not surprising. By meeting short of a 5-person quorum, the Commission did not legally have to give notice or have the meeting open to the public. Bob Freeman, executive director of the state Committee on Open Government, was probably correct that it does not violate the Open Meetings Law to hold a single non-quorum session on a topic, but that “it demonstrates a lack of transparency,” and might not pass judicial muster “If there is an attempt to evade the Open Meetings Law by ensuring that a series of gatherings will include less than a quorum.” Freemen bemoaned the fact, as do we, that the Planning Commission left the public in the dark about a major development. 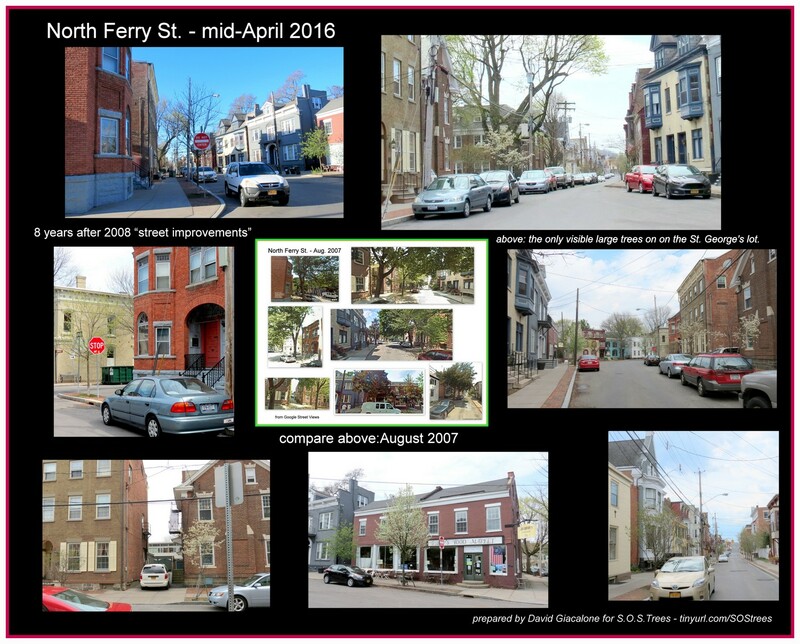 A major problem with Planning Commission Chair Sharran Coppola having held the pre-Meeting sessions with Rush Street, is that she thinks those chats justify not discussing the design issues during the Public Meeting this week. If you care about the design issue (much less good government), you are very likely to want to know what the Commissioners are thinking and suggesting about the need to re-do the redesign. Left in the dark, the public has to comment about their design wishes in a vacuum, mostly complaining about its overall reaction to the Factory-Retro second design, rather than saying what it likes and does not like about the new suggestions, and giving alternatives. In other words, we will probably be facing a fait accompli on July 15, and be (sadly, as always) wasting our time addressing the Commissioners. The following is an online comment left by myself (David Giacalone) at the webpage of this morning Gazette‘s article. It suggests that Rush Street be required to submit its redesign by Independence Day weekend, and it reminds the Gazette readership and the Commissioners that no one was excited about the first Schenectady design, and it should not become the fallback outcome by default. 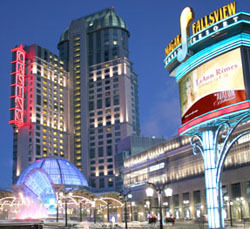 By depriving the public of a discussion among the Commissioners, its staff, and the Casino, concerning the design of the Casino, the Commission has made it impossible for the public to make meaningful comments over the next couple of weeks about the design “retooling” and to have any significant impact on the final design. Saying what we don’t like about the 2nd design is not an adequate way to work toward a much-improved 3rd design. 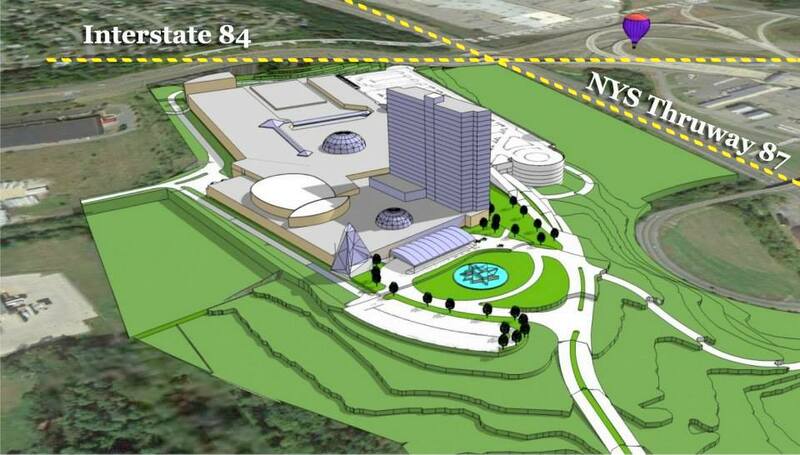 Schenectady surely does deserve a spectacular design for its casino. From the start, many of us pointed out that Rush Street’s competitors understood that a destination casino must look special, while our applicant seemed to be willing to settle for a very modest “regional” casino look, and the City Hall yes-persons failed to ask for something better. Prior to the release of the Factory-Retro red brick 2nd design, I saw and heard no praise of the first design. At best, when anyone pointed out how much it looked like a gaudy version of a 1970’s mall cineplex, and was a retread of the underwhelming, mid-West-snazzy Des Plaines Rivers casino, the reply would be, “gee, it’s not that bad.” It is my hope that the Planning Commission, Mayor and Rush Street do not simply return to the mediocre first design, adding some redbrick coloration here and there. We also should not fool ourselves that the constructed casino will look like the rendition. To see how reality differs from the Rush Street drawings in Des Plaines, go to http://tinyurl.com/DPClessons . The Applicant should be required to submit its next design proposal before the Independence Day weekend, so that the public can give meaningful input prior to the Commission’s July 15 meeting. We deserve more than a Done Deal sprung on us at the last minute. And, because the deadline for opening the new casino is at least 26 months away (and Rush Street insists they only need 16 to 18 months for construction), the Commissioners should be willing to have a 3rd public meeting on the Site Plan in order to give it adequate review. I’ve seen this Commission force “little guys” to come back two and three times over things as insignificant to the public as the color and shape of their tiny storefront sign. Mohawk Harbor deserves closer scrutiny than a two-meeting rush on something so complex and important. And, of course, the public needs to be in the loop, not out in the hallway due to some 4-person loophole. 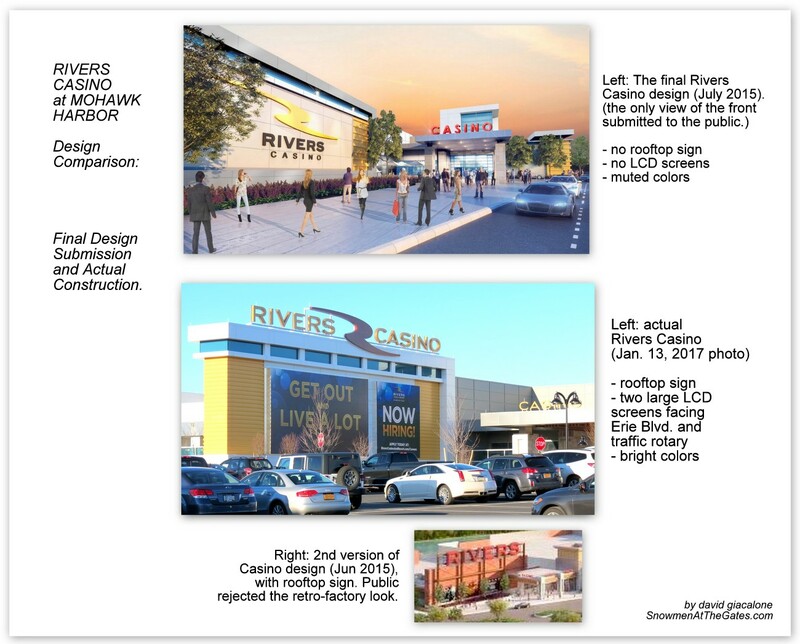 The release of the new design for Schenectady’s Rivers Casino at Mohawk Harbor (see our June 6th posting) has started a robust debate that we hope will stir the City’s Planning Commission to actively evaluate and appropriately modify the casino Site Plan, which they will first treat in public on June 17, 2015. 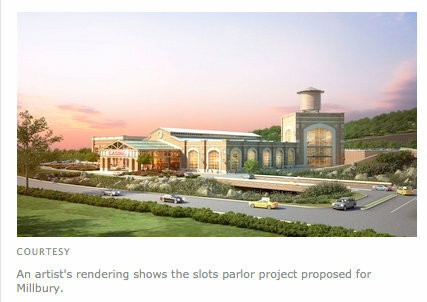 Press coverage has included: Schenectady Gazette (subscription needed): “Reaction mixed on new casino design” (by Haley Viccaro, June 6, 2015); “Rethink the new casino design” (Editorial, June 7, 2015); “History shouldn’t repeat itself at casino” (column by Sara Foss, June 7, 2015); and Letters to the Editor: “Casino design could use historic charm” by Virginia Newton, and “New design of casino screams out ‘cheap’” by Suzanne Miller (June 10, 2015, scroll to 3rd Letter). And, Albany Times Union (subscription needed): “Redesign of Schenectady casino is a dud” (column by Chris Churchill, June 9, 2015). [T]he city should demand better. The casino is a once-in-a-lifetime project and opportunity. It’s too important to get wrong. It should be a knockout. Churchill also noted that the Planning Commission “would probably approve the casino if it looked like a giant Taco Bell.” Indeed, so far (e.g., with the C-3 zoning amendments), the Commissioners and Planning-Development Staff have acted like sleepy, toothless watchdogs, deaf to the requests and opinions of anyone other than the Casino Applicant (operator Rush Street Gaming, and The Galesi Group, site owner and developer), our Mayor Gary McCarthy, and County Planning satrap Ray Gillen. 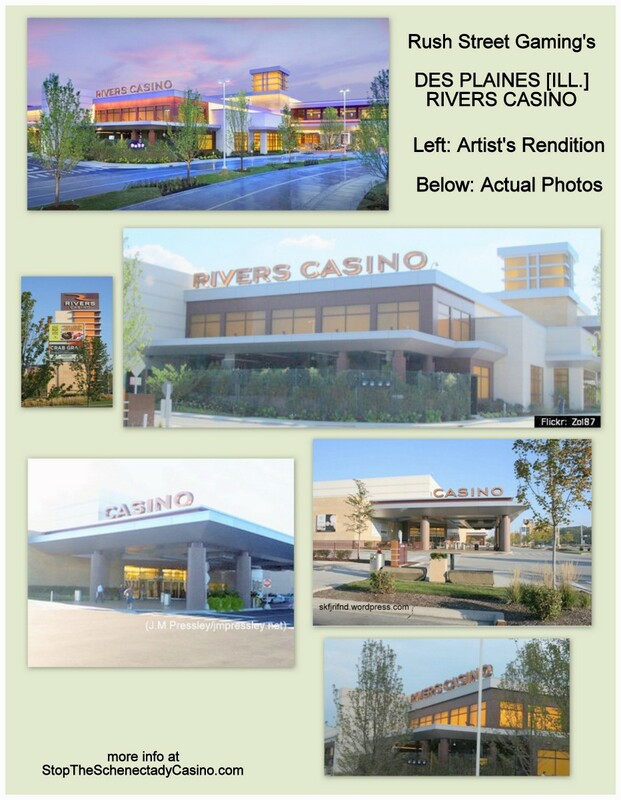 We hope the photos and images in this posting from Rush Street Gaming’s Rivers Casino at Des Plaines (Illinois) [“DPRC”] will prove more persuasive than the previous arguments and suggestions of many well-intentioned Schenectady residents. The “reality” of the Des Plaines casino’s exterior is significantly less sparkling, futuristic, or inspiring than its artist renderings. 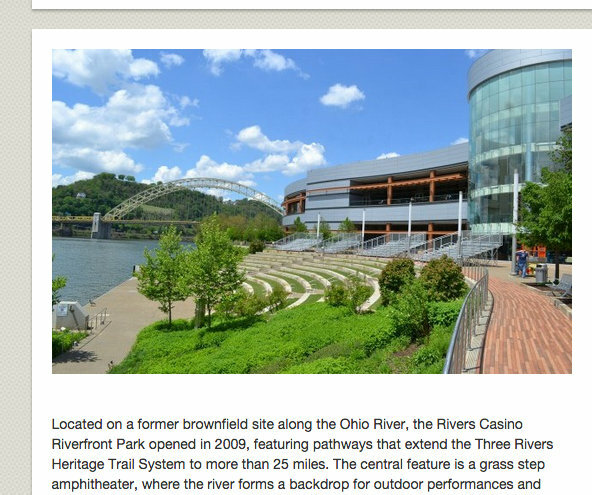 (That might be why DPRC’s Facebook page still has a 5-year-old rendering, rather than a recent photo, in its masthead.) 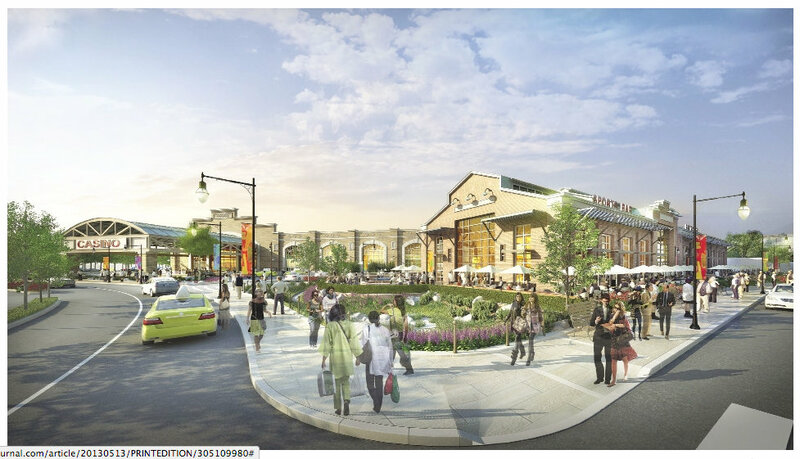 The reality of the Des Plaines design might lessen the grief of many who, after seeing the Second Schenectady Design, are praising the First Schenectady Design for the first time and bemoan its demise. They should perhaps not urge the Planning Commission to revert to the First Design, but instead ask how the Second Design might be improved so that it is worthy to represent the best of Schenectady’s past accomplishments and future prospects. A proposed pylon can be far more imposing once built than suggested in artistic “daytime” renderings. The brightness of the digital display at night and the size and intensity of the lightbox built into the pylon structure must be taken into consideration. 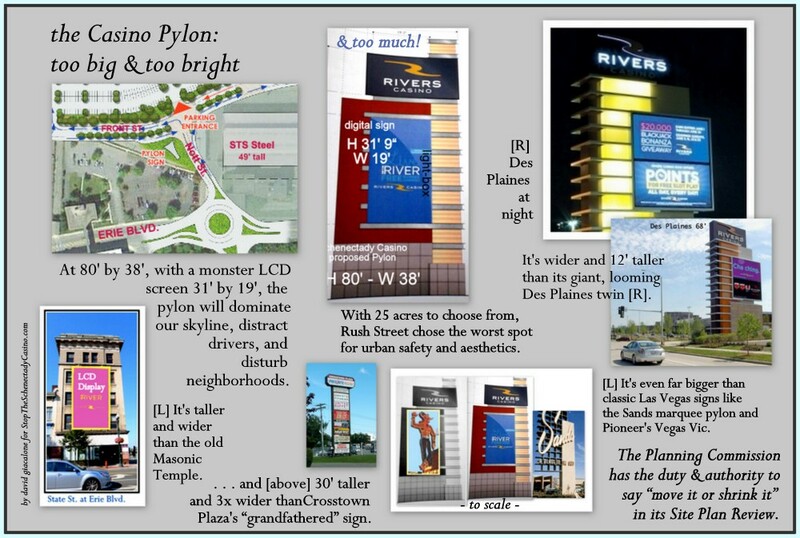 The shorter height of the Des Plaines pylon (68′ as compared to 80′ in Schenectady) and of its digital signage area (25′ tall approx. 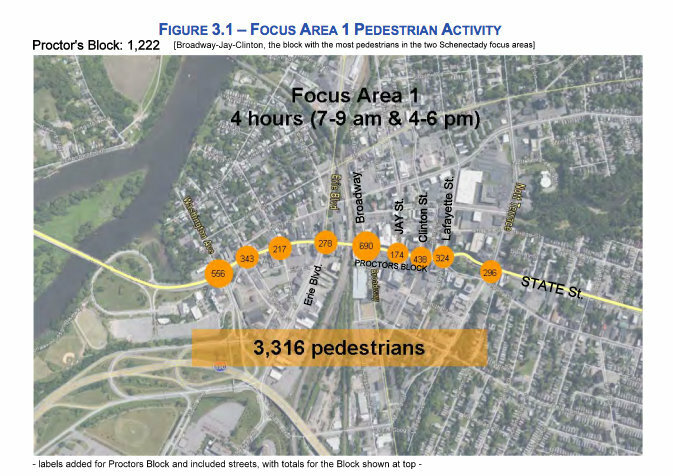 compared to 32′ in Schenectady), as well as its apparently narrower width, should give pause to Schenectady’s Planning Commission as it evaluates the proposed Schenectady design and its proximity to a vital and complicated intersection. It should ask whether the non-sign portion of the pylon “cabinet” will be lighted; and, demand a line-of-sight study of the proposed pylon edifice, in daylight and at night. For safety’s sake, it should also keep in mind the reasons behind the Philadelphia ban on digital signs within 200 feet of an intersection (§ 14-904 (1) (b) Digital Display), and the insistence of the NYS Department of Transportation that digital signs appear no brighter at night than during the day, and no brighter than permitted roadside billboards. Rush Street’s primary justification for its giant Schenectady pylon was that it had to be tall enough to be visible despite the STS factory building on the site. The renderings show no connection between the pylon and the STS building, which is in fact 49′ high and not being raised up above the 100-year flood plain like the casino compound. Click to see our Pylon Collage. This Slideshow shows a lot. 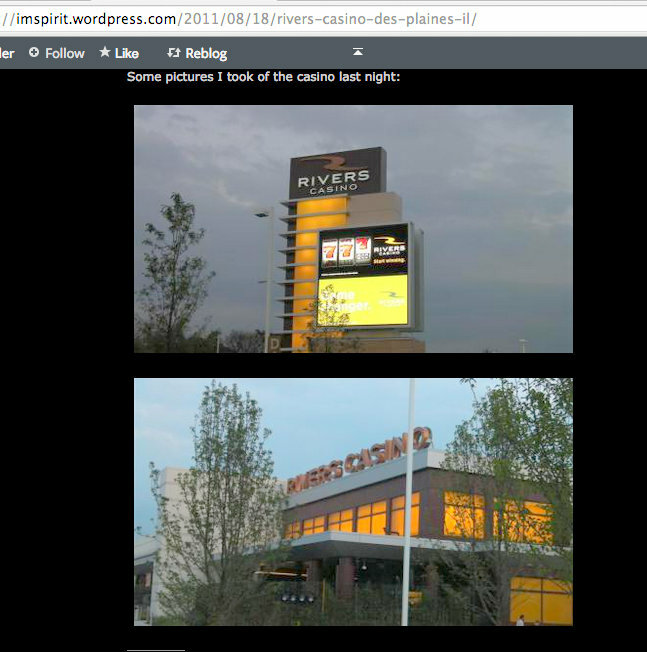 We’ll let readers decide if we have drawn the correct lessons from the Des Plaines Rivers Casino. As we did in the posting “tips for the Planning Commission,” we urge members of the public to let the Planning Commission know their feelings on the overall casino design, the pylon issues, the proximity of the big, bulky hotel to the riverbank, the need to secure public access to the riverbank, and all the other issues that must be part of a Site Plan Review. 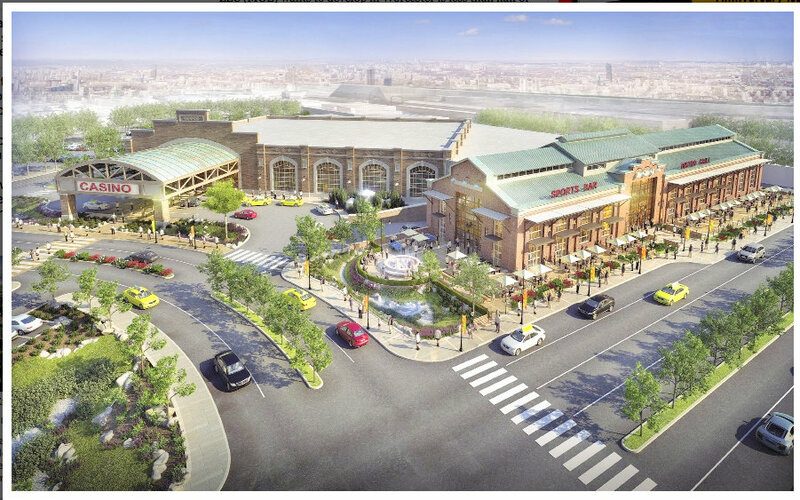 */ It is surprising that the Gazette editorial on June 7, and then the June 9 Churchill Column in the Times Union, concluded that the new Schenectady Design looks like the Des Plaines casino. 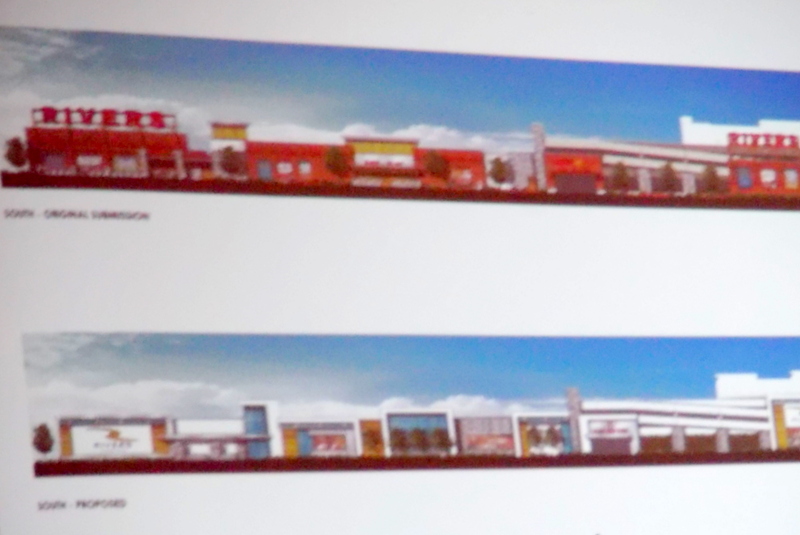 Compare the renderings of the Second Schenectady Design in the collage at the beginning of this paragraph with the Des Plaines images in the above Slideshow. 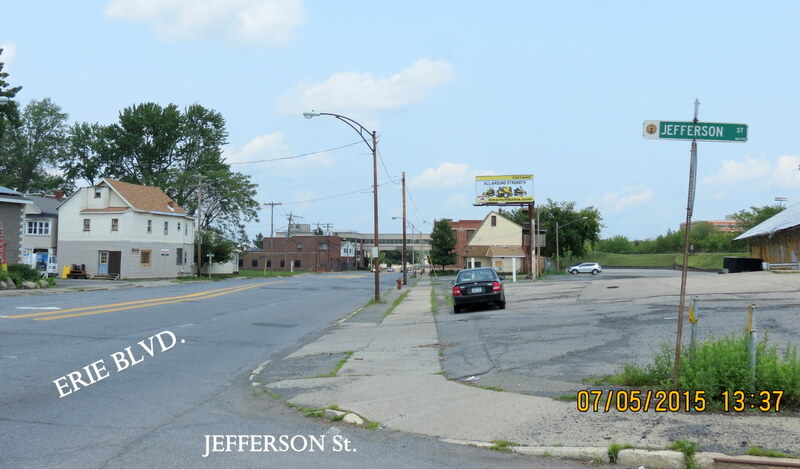 The Planning Commission of the City of Schenectady will begin, but hopefully not end, its Site Plan review of the Rush Street Gaming casino compound in Schenectady, on Wednesday, June 17, at 6:30 pm, in Room 101 the City Hall. 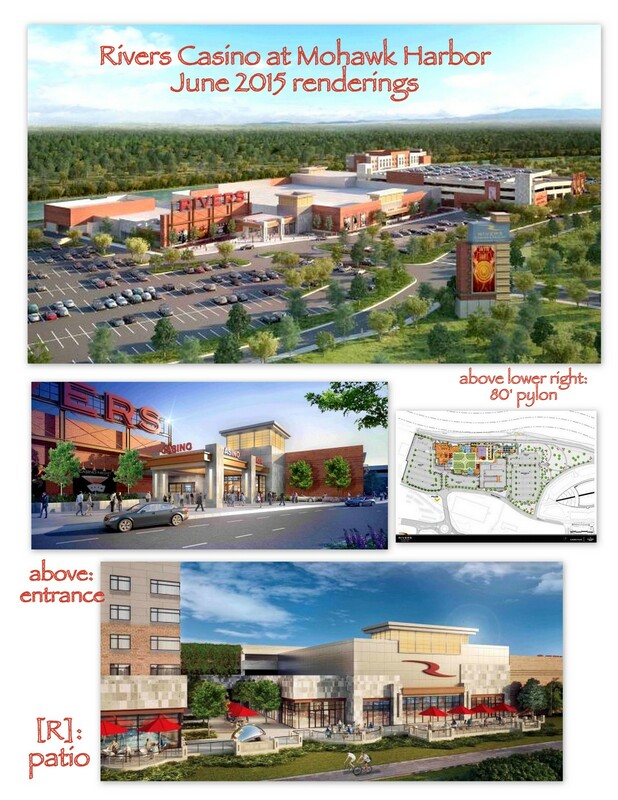 (See our recent posting “Schenectady Casino redesigned“.) We did not hide our disappointment over the Planning Commission’s “review” of the C-3 Waterfront Zoning Amendments, nor of the related actions of our City Council. But, despite recent history, we refuse to believe that the Planning Commission will shirk its duties in performing its review of what is surely the most important site plan to come before it so far this century (and millennium). See Zoning Law, §264-89 et seq. for relevant factors. There’s No Rush. There really is no excuse for a less than thorough review. The Commission justified its lightweight review of the Zoning Amendments by saying it would take a much closer look at the details when presented in the casino site plan review. It also has the final say here, and should not allow the City Council, the Mayor, or Corporation Counsel to cajole them to produce a particular result. Equally important, it is now clear that Rush Street is under no looming construction deadline as they insisted last January when the Amendments were pushed through. Before the gaming license is issued, the Gaming Commission plans to release its proposed set of regulations for casino operation in three areas: problem gambling, disability access, and workplace diversity. There will then be a 45-day public comment period on the Regulations, with no license being issued during that period. It is highly unlikely the gaming licenses will be issued, therefore, prior to September, and the Commission said in May that it hoped to issue them before the end of 2015. For well over a year, Rush Street has bragged that it could complete construction and open the casino for business within 18 months of getting needed permits and licenses. Recently, Rush Street Gaming CEO Greg Carlin gave a 16-month completion estimate once it has its gaming facility license. The Gaming Commission wants each casino operating within 24 months of receiving its license. At the earliest, that 24-month deadline appears to be 26 months away. With Rush Street and Galesi promising completion much sooner than that, and their facing merely fines, and not loss of the license, should the deadline be missed by a modest amount, the Planning Commission has no need, and no excuse, to give less than a thorough review, including asking for all additional information needed to evaluate the proposal, and allowing time for meaningful public review of the final Site Plan proposal. Given the importance of this matter, we want to urge all interested persons to submit comments to the Planning Commission, either in writing or in person at their Meeting. At this website, there will be a series of suggestions to the Commission over the next couple of weeks, on questions the Planning Commission needs to ask and homework it should do in its Casino Compound Site Plan Review. 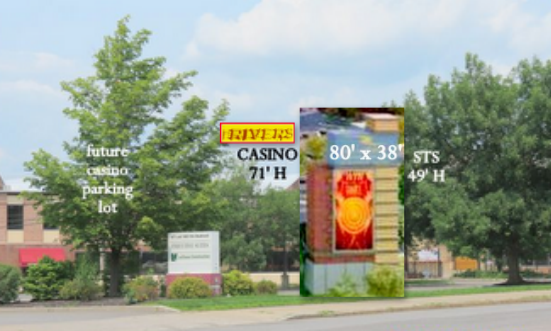 Topics will include: In addition to the lack of urgent time limits that prevent full evaluation, 1) the Giant 80′ Pylon and 32′-tall digital sign, including finally doing a Line of Sight profile, and evaluating its closeness to the intersection of Erie Boulevard and Nott Street; 2) ways to improve the newest Casino Design; 3) the overall need for signage, especially the bright, moving, changing kind; 4) the design, bulk and appropriate proximity to the riverbank of the very large hotel being proposed for along the Mohawk (see this photo-collage); 5) indications that the Casino and property owner is serious about allowing meaningful public access to the riverbank. 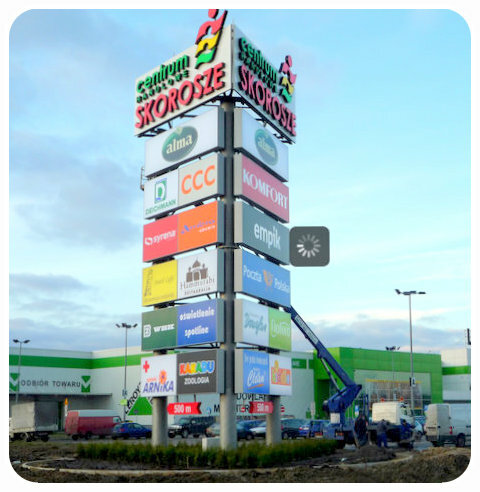 – Tip #1: The 80′ pylon “sign”, with 32′ digital display. We hope the Planning Commission will think hard about having such a giant pylon so close to Erie Blvd. and Nott Street. 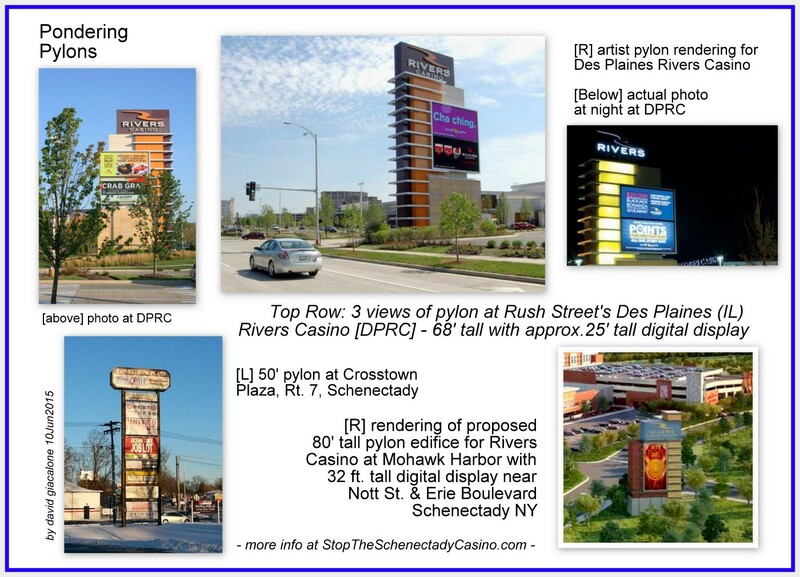 Below: Comparison of pylon signs at Rush Street’s Des Plaines [IL] Rivers Casino and at Mohawk Harbor in Schenectady (click to enlarge). 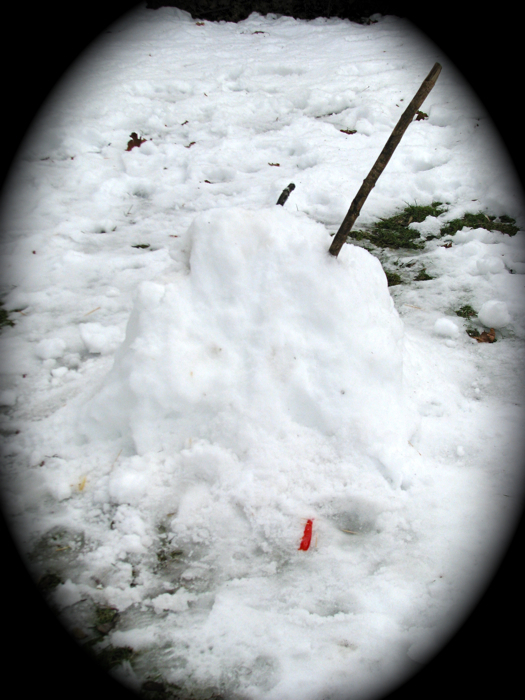 See our post “shrink that pylon!” for additional factors to be considered and photos. update: Click for my Comments to the Planning Commission regarding the proposed Casino Pylon (9-page pdf., June 17, 2015). In general, you can get a good feel for our dissent to the Planning Commission’s treatment of the important Zoning Amendments in this post, which discusses public rights and protections loss in the new amendments. Readers are invited to leave comments in response to ideas presented here and also to report their own tips for the Planning Commission. 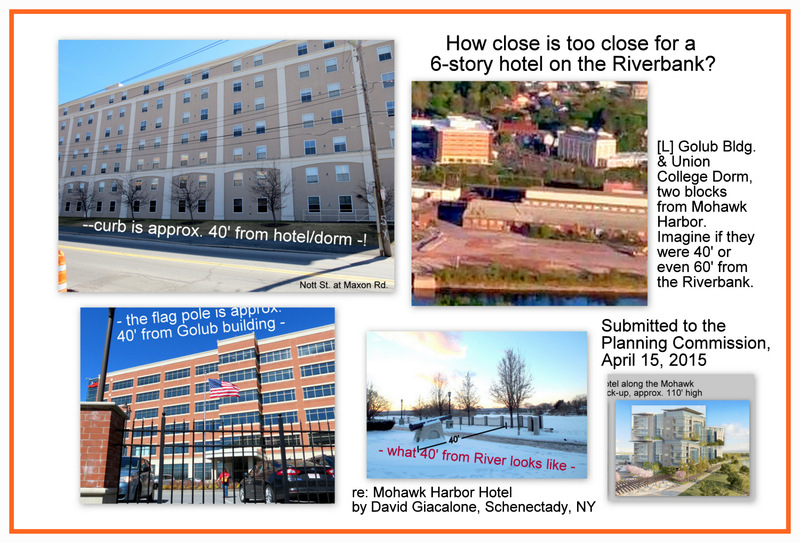 Summary: Mayor Gary McCarthy of Schenectady failed to obtain a host community agreement or impact mitigation plan from Rush Street Gaming and the Galesi Group, either prior to approving their Mohawk Harbor casino proposal, or later when granting major zoning and planning concessions to the casino. In contrast, as in Massachusetts and across the nation, several of the other potential host municipalities in Upstate New York did successfully enter into such agreements with their local casino applicant. Mayor McCarthy owes us a full, honest explanation for the failure of his Administration to protect and promote the interests of our City and community by insisting on a host community or mitigation plan agreement, when the leaders of so many other cities and towns undertook that crucial task. Why did Mr. McCarthy leave so much Money On The Table (“MOTT”) and ask so little of his “partners” Rush Street and Galesi? In our prior posting, “Mayor McCarthy left millions on the casino table (April 26, 2015),” we asked our Mayor how it could be that Rush Street Gaming was willing to give so much to the cities of Philadelphia PA and Brockton MA, but has been able to achieve its entire wish list in Schenectady without making firm revenue guarantees to our City, offering pre-opening payments, or granting funds for the benefit of the community and neighborhoods. On May 11th, two weeks after that posting, a Schenectady resident raised that question at a City Council meeting, and a red-faced Gary McCarthy accused the speaker of getting misinformation from “that blog” [that is, us], and offered two excuses: (1) Massachusetts law requires such agreements and (2) in New York, the casino pays gaming taxes to the State, which distributes them to Host counties and municipalities, so applicants can’t promise payments to the host community. We anticipated and explained the fallacy of the Mayor’s 1st Excuse in the earlier post. Massachusetts law mandates only that mitigation payments be addressed and responsibilities of host and casino be stated in a Host Community Agreement. It otherwise neither requires that any particular topics be addressed nor specifies the types of outcomes that must be achieved. We note here that the 2nd Excuse completely overlooks at least two important facts: (1) Nothing in New York law prohibits a municipality from asking for, or a casino from giving, firm guarantees and additional payments to the Host government and community, and (2) New York’s gaming laws and regulations do in fact obligate a casino applicant to document the plans and commitments it has made to mitigate the impact of their proposed casino. Moreover, the Gaming Commission has stated that “The Applicant is encouraged to work with a Host Municipality to reach what each considers appropriate mitigation”. It also answered a direct inquiry as to whether tax and fee payments made by the gaming facility may be “considered as part of the mitigation measures for the host municipality and nearby municipalities” with a very clear, one-word answer: “No”. 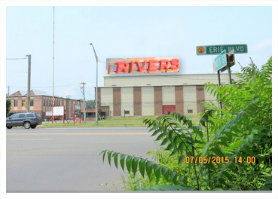 (See Round 1 – Q&A, Location Board Report and Findings, at 489) That is contrary to Rush Street’s repeated refrain in Schenectady that revenues paid to the City from casino operations would cover any potential impacts, thereby requiring no additional payments to mitigate expected negative impacts. In this posting, we ask what may be an even more important question: Why is it that so many potential host municipalities in upstate New York not only asked their Casino Applicant for specific promises and additional payments but succeeded in entering into generous agreements with casino developers and operators long before the NYS Gaming Facility Location Board made its selections on December 17, 2014? Whether they called them Community Benefit Agreements, Host Community Agreements, or Impact Mitigation Plans, other New York State towns and cities got significant promises from applicants hoping to making scores of millions of dollars from operating a gaming facility, but who first needed the approval of the proposed host municipality. Indeed, at times it was the applicant who opened the discussion of benefit agreements and mitigation plans. To protect the interests of their residents, other potential Host towns (as well as nearby municipalities) did what any good businessman or politician would do: They negotiated from strength with casino hopefuls who needed local approval before they could even submit an application to the Board. 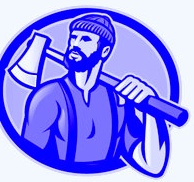 They leveraged the requirement stated in the authorizing statute [Upstate New York Gaming Economic Development Act of 2013, §1316(5-7)], the resultant Gaming Commission Regulations [§5300.1(f)], and the Location Board’s Request for Applications, that each developer submit a description of its commitments to mitigate impacts of the proposed casino on each host municipality and nearby areas. As one news report stated, casino applicants “must provide studies completed by independent experts showing the impacts and submit copies of all agreements demonstrating mitigation commitments.” See “Casinos prepare applications for final review”, pressconnects.com, June 21, 2014. Mayor Kathy Sheehan wants to hire a law firm with expertise in casino gambling, land use and community benefit agreements as Albany, NY considers a developer’s proposal to build a $300 million-plus resort casino on the outskirts of the city. The city on Monday issued a Request for Proposals for legal services, just a week after Sheehan first learned of the project being pursued by Flaum Management Co. Inc., a large commercial real estate developer based in Rochester.
. . . Sheehan does not know how much the legal services will cost, but said it’s possible the city would seek to have the fees paid for by the developer as part of the review process. As a result, Mayor Sheehan hired attorney, Jonathan Silverstein of Kopelman and Paige P.C. in Boston, who had negotiated more than a dozen Host Community Agreements on behalf of cities and towns in Massachusetts. And, potential applicant Flaum Management paid lawyer Silverstein’s fees on behalf of the City. (See Albany Business Review, May 15, 2014). Meanwhile, Mayor McCarthy apparently decided to go with the minimal in-house expertise of his own Law and Planning Departments, and to look to the Applicant for good faith actions and advice. In addition, whereas Albany council members wanted to be actively involved in the negotiation process and “want[ed] a host benefits agreement to include an upfront payment to the city (Id. ),” McCarthy’s majority on the Schenectady City Council were satisfied with being cheerleaders and adopting a passive legislative and policy role predicated on implicitly trusting the casino partners and their Mayor. Lago at Tyre. More telling than Albany’s efforts to obtain a community host agreement is what happened with the Lago Casino in the Town of Tyre, a tiny agricultural community, which was the eventual “winner” in the Finger Lakes Region. Although Tyre has a population below one thousand, its leaders had a thoughtful and thorough response when they learned that the Wilmorite Corp. [also known as Wilmot] wanted to put a casino on a parcel within the Town. Beyond getting itself good legal advice and keeping its residents fully informed and involved, the Town commissioned the study “Impacts of Wilmot Casino on the Primary Impact Area: Emphasis on Socioeconomic & Public Safety” (June 2014, 44-pages), which was prepared by the Center for Governmental Research, in Rochester, NY. Tyre also requested Cornell University to review and summarize a compilation of Canadian studies on the impact of casinos, especially problem gambling. 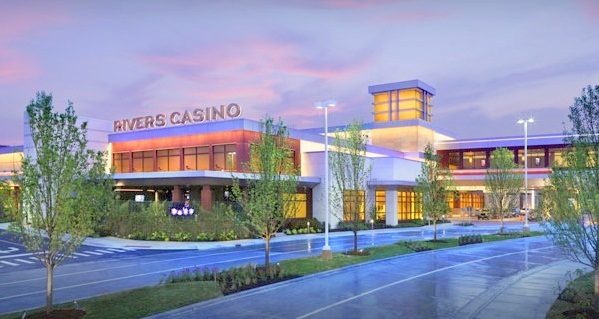 • Pay all costs and expenses incurred by the town for attorneys, accountants, engineers, consultants and others in connection with the casino review process. • Pay the town $100,000 annually from 2016-21 for the purchase of development rights or other action related to the preservation of agricultural land in the town, to mitigate the loss of farmland. • Preserve the graves in six known burial sites on the land. • Pay for the training of a security force acceptable to the Seneca County Sheriff’s Office; for special training of deputies, as needed; and up to $100,000 a year for the anticipated hiring of an additional deputy because of the casino. • Pay the cost of a new high-rise firefighting equipment for six Magee Fire Department firefighters and will pay the cost of a ladder truck for the department. • Pay for any medical training required by North Seneca Ambulance personnel who respond to the casino for emergencies. If North Seneca handles a casino patient whose insurance does not cover the entire cost, the company will make up the difference. • Pay all on-site employees wages no less than 75 percent of the national average for each occupation. • To mitigate impacts on town services, pay the town $750,000 in 2015, $2 million on Jan. 15, 2016 (prior to operation), and $2 million on Jan. 15, 2017. For 2018 and beyond, the impact fee will be at least $2 million and be adjusted by formula. Once it begins operation, the Casino will receive credit for Gaming Tax Revenues received by the Town. That is, the Casino must make a prepayment of the annual minimum Impact Fee each January 15, with the Town refunding to the Casino the amount that it receives as Gaming Tax Revenues each year. • Design a telecommunications infrastructure for the casino, with at least one strand of fiber-optic cable dedicated to the town and its residents. Recognize the right of property owners near the Project to continue farming consistent with past practice using good agricultural practices. Limit its lodging facilities to no more than 220 rooms, unless the Company provides the Town with independent forecasts that demand exists in the area for additional rooms, in order to limit the impact on other lodging establishments in the region, during the first ten years after gaming operations open to the public. • Take out a $4 million mortgage on the project to secure the company’s obligations to the Town and County. The town will be given first priority lien on the mortgage. Engage in Periodic Review and good-faith negotiation to deal with additional payments for unanticipated or miscalculated impacts, up to $1 million per year. Direct Impacts. The Company acknowledges that the construction and operation of the Project will cause direct impacts on the Town and its residents, including but not limited to impacts on Town infrastructure, environment, public safety, emergency services, social and other impacts (“Direct Impacts”). The Company shall mitigate the Direct Impacts in the manner described in this Article III. 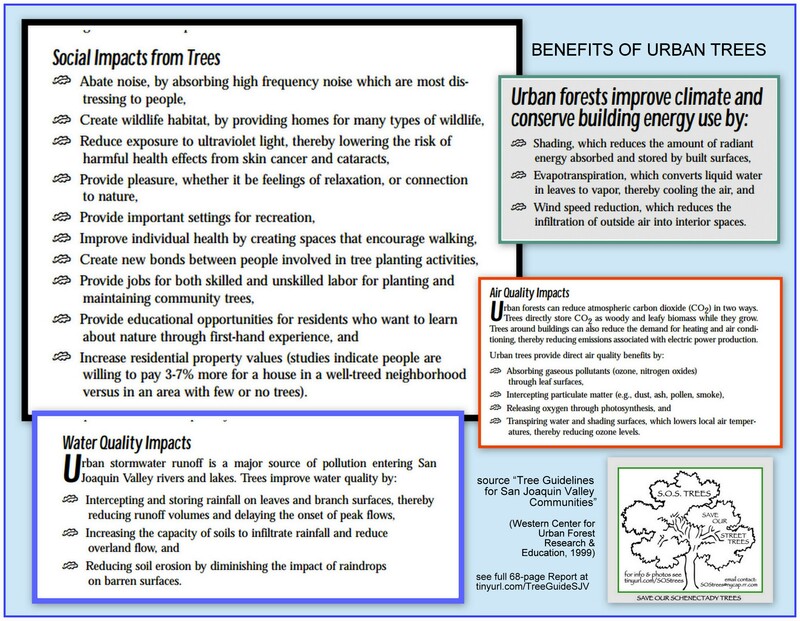 7) costs related to mitigating other indirect impacts to the Town and its residents. Schenectady’s City Hall never demanded a benefits or mitigation agreement with Rush Street and Galesi. Indeed, the Mayor and his Administration, Metroplex, County officials, the Chamber of Commerce, and hopeful casino vendors, have never admitted to any likely negative effects. As a consequence, the City never did or commissioned any independent research or investigation that could be used to rebut the glib and facetious claims of the Schenectady Applicant that its casino would have no significant added costs or negative impact on the City, nearby neighborhoods or towns, or the County. This lack of vital information caused the only non-Democrat on City Council, Vince Riggi, to refuse to vote in favor of the proposed casino. 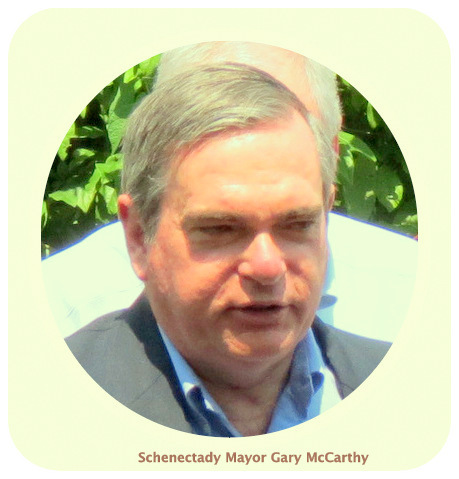 At Schenectady City Council meetings, Mayor Gary McCarthy is pretty good at maintaining his poker face, while raking and calling in political chips. 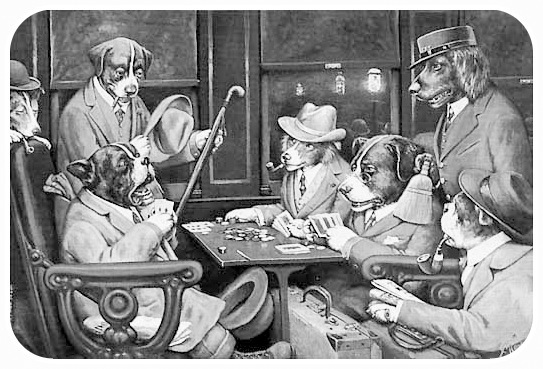 But, it’s apparently a different story when the Mayor sits down to gamble on our City’s future with the Casino Gang from Mohawk Harbor (Rush Street Gaming and the Galesi Group). Despite holding numerous trump cards, the McCarthy Administration has left a lot of casino cash, public benefits, and basic zoning protections on the table, to the future enrichment and probable amusement of the savvy businessmen who are planning to make millions of dollars at the Old ALCO site. So far, all that Schenectady has received from Galesi Group’s Dave Buicko and Rush Street’s Neil Bluhm are unenforceable promises of big dollars and jobs down the road, with lots of disclaimers, footnotes, and revenue projections adjusted downward. We should have expected and demanded much more of Mayor McCarthy, and his Legal and Planning Departments. As explained below, at the very least, we should ask how the Mayors of cities as different as Philadelphia (PA) and Brockton (MA) got so much from Rush Street Gaming, while Schenectady ended up with only smiles and praise for their cooperation from the so-called Partners. commission and fund comprehensive Impact Studies to be performed by independent, mutually-acceptable experts, to assess the impacts of the Project on the City’s traffic and transportation infrastructure, utility infrastructure, public safety, and other impacts such as education and housing. enter a Mitigation Agreement, after receiving its gaming license, to fund the mitigation of all identified impacts. grant a hiring preference for both construction and permanent jobs, first to qualified Brockton residents and then to qualified residents of Surrounding Communities. issue at least $50,000 per year in gift cards or rewards vouchers to be used at local businesses located off site. In addition to the very significant factor of allowing each municipality’s voters, rather than merely the local Council, to approve an applicant’s casino proposal, Massachusetts Gaming Law [G.L. Chapter 23K, §15(8)] differs from New York’s in that it requires the applicant to enter into a Host Community Agreement that sets out the responsibilities of both parties. But, the only specifically-required element is an Impact Fee of an unspecified size. Everything else — i.e., payments prior to opening the casino; guaranteed minimum payments for real estate taxes and community enhancement, preference in hiring to local residents for jobs and vendors, etc. — is a matter for negotiation and bargaining between the casino developer and the City. The most important aspect of the Agreement made by Rush Street with Brockton (as well as the agreements with Philadelphia) is that Rush Street clearly believes it can give such significant, firm prior commitments to the City and the Community and, nonetheless, make a profit sufficient to warrant submitting the application, waging a vigorous campaign, and making the immense investment necessary to develop and operate a casino. The apparent but understandable irony, of course, is that Rush Street offers its pre-operation payments, generous goodies, and binding revenue promises to the cities where the fight against Rush Street is the strongest (or where it faces a vote by the residents), and offers virtually nothing to places like Schenectady where “leaders” eagerly support their proposal. That makes Mr. Bluhm a good businessman and poker player, but not necessarily a good neighbor. The question now is whether the City (as well as the County and Metroplex) can make up for those lost opportunities and take the City back from the New Bosses at the Old ALCO site. update (May 11, 2015): When confronted, by Mohamed Hafez at tonight’s City Council Meeting, with the many promises made by Rush Street to Brockton, Mayor Gary McCarthy made the expected excuse that Massachusetts requires the Host Community Agreements. As stated above, that response is incomplete, and cannot justify McCarthy not demanding similar agreements be made by Rush Street with Schenectady. In addition, the Mayor pointed out that all New York gaming revenues go to the State, which distributes the funds to counties and municipalities. That argument ignores the fact that the casino operator has the ability to guarantee that the city will receive a minimum amount each year in total revenues, and to reimburse the City for any shortfall from the revenue redistributed by the State and County. 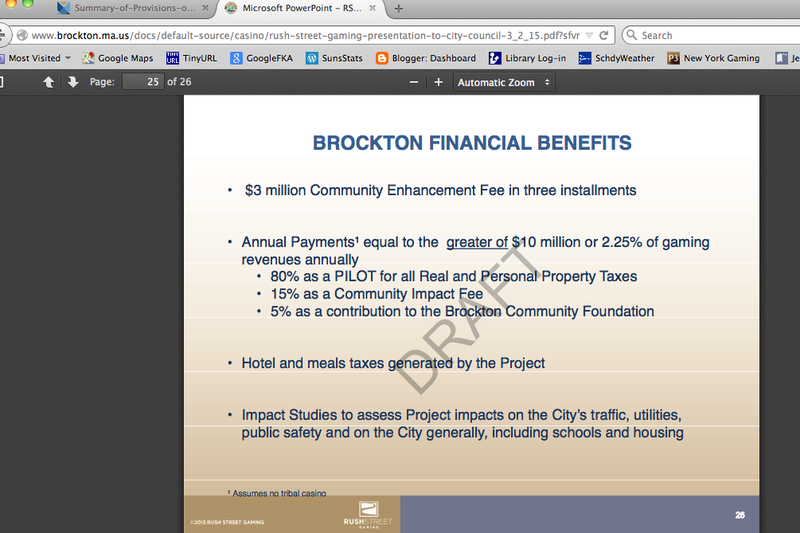 In addition, the casino pays real property taxes directly to the County, City and School District, and those funds can be the subject of an agreement with the City, as can the other promises made by Rush Street with Brockton and Philadelphia, and the many other items that appear in typical Community Benefit Agreements. For a detailed response to the Mayor, see “Money on the Table, part 2” (May 18, 2015), which describes the many Host Community Agreements and Impact Mitigation Plans entered into by other potential Upstate New York host municipalities last year, and their implications when judging the job the McCarthy Administration has done in Schenectady. 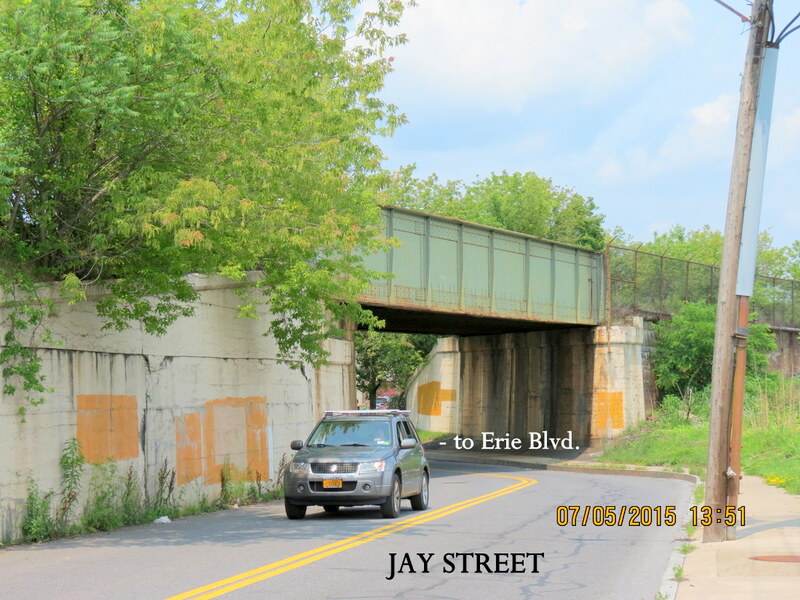 Follow-up (May 27, 2015): See our post and related chart on Rush Street’s Giveaways (to everyone but Schenectady). See the Mass. Gaming Commission HCA webpage, for an explanation of Host Community Agreements, along with both full texts and summaries of existing agreements with 5 communities awaiting casino location. Also, click here, for 9 excerpted pages we’ve scanned from the 5 summary documents. Fifteen communities . . . have received roughly $5 million from the state’s three licensed casino operators as part of compensation agreements negotiated with the companies. Helping Surrounding Communities. As the above Sun-Chronicle article suggests, another difference in the Massachusetts Gaming Law is that Massachusetts specifically attempts to help Surrounding Communities receive mitigation funds from a casino applicant/operator. (That is another way in which our State law fails to protect the public, making strong advocacy by a Host city for its residents and neighbors even more important.) Therefore, under G.L. Chapter 23K, §15(9), an applicant for a license must “provide to the commission signed agreements between the surrounding communities and the applicant setting forth the conditions to have a gaming establishment located in proximity to the surrounding communities and documentation of public outreach to those surrounding communities.” In Massachusetts, therefore, Rush Street says it will start approaching neighboring communities for mitigation agreements as soon as the people of Brockton vote “Yes” on the Brockton Agreement. 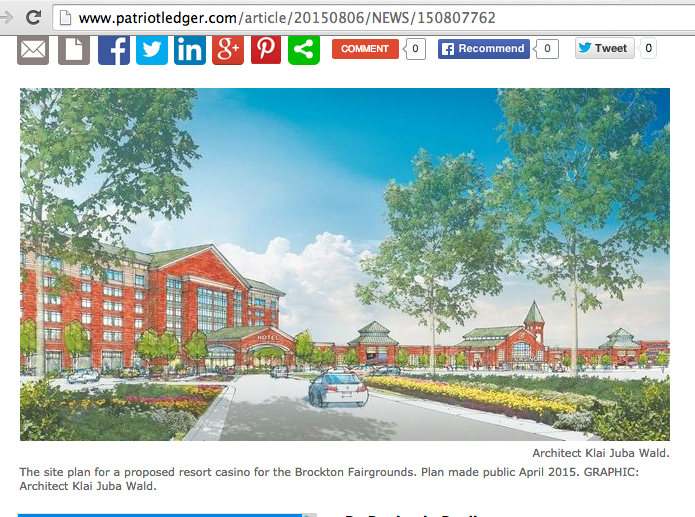 See, “Neighboring towns keep close watch as Brockton prepares casino vote“, Boston Globe, April 26, 2015. In Schenectady, by contrast to Brockton, neither City Hall nor the Casino (nor Big Brother Ray Gillen at Metroplex) has acknowledged publicly that there will be added expenses or other negative impact on the people, neighborhoods, and businesses of Schenectady and nearby towns. Instead, when asked about increased costs for police, fire, and emergency services, or the added need for public assistance and school district expenses, the “Casino Partners” glibly and dismissively tell us that more than enough extra revenue will come to the City and County from operation of the casino to easily pay for any such impacts, with lots left over to reduce property taxes. Similarly, when Council Member Vince Riggi (the only non-Democrat on the City Council) has asked his colleagues to study and report on added costs to the City caused by operation of the Casino, he has been rejected out of hand. . 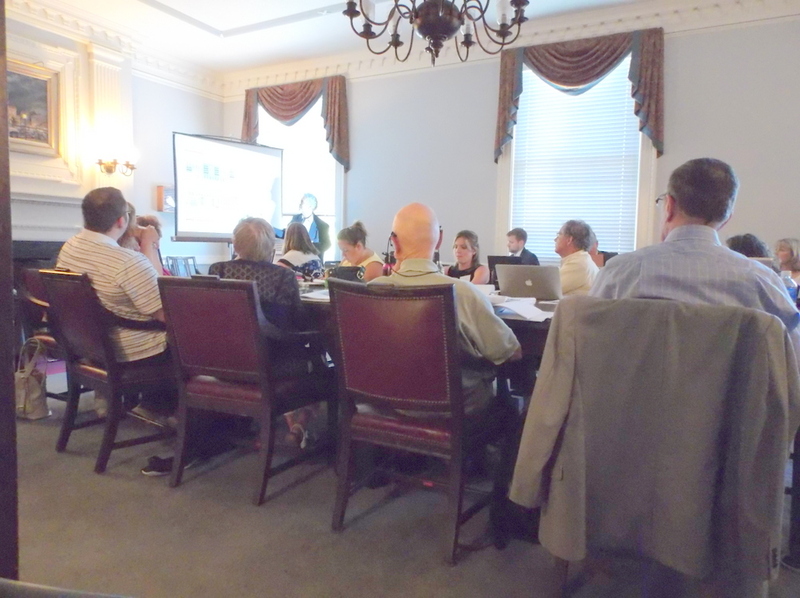 Likewise, calls by residents, and Mr. Riggi, at Council meetings, for a commitment by Rush Street for minimum payments to the City have been scoffed at by The Partners. Imploring the Mayor and City Council to bargain from strength while they still have leverage has been met with Mayor McCarthy’s poker face and Council President King’s averted eyes. 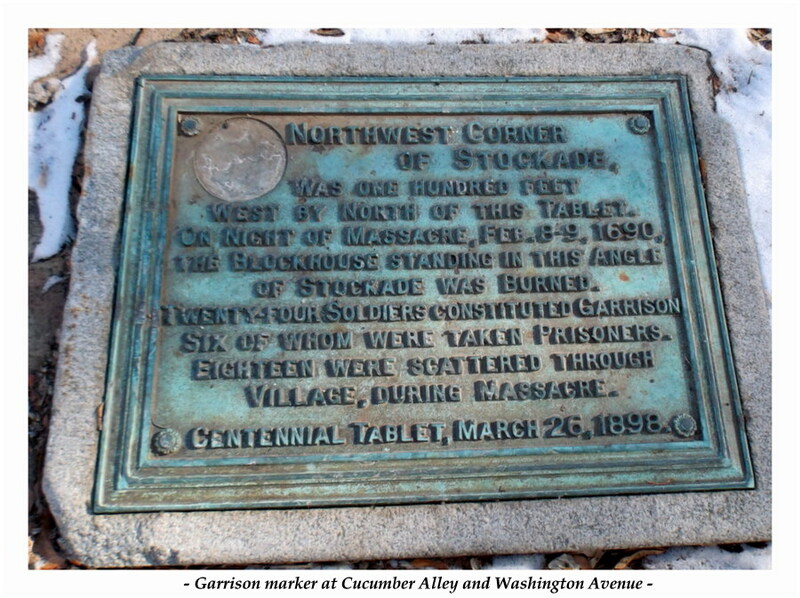 The goal proclaimed by Rush Street in the Brockton Agreement, “To achieve certainty for both parties”, cannot be heard along the Mohawk. . . . . . 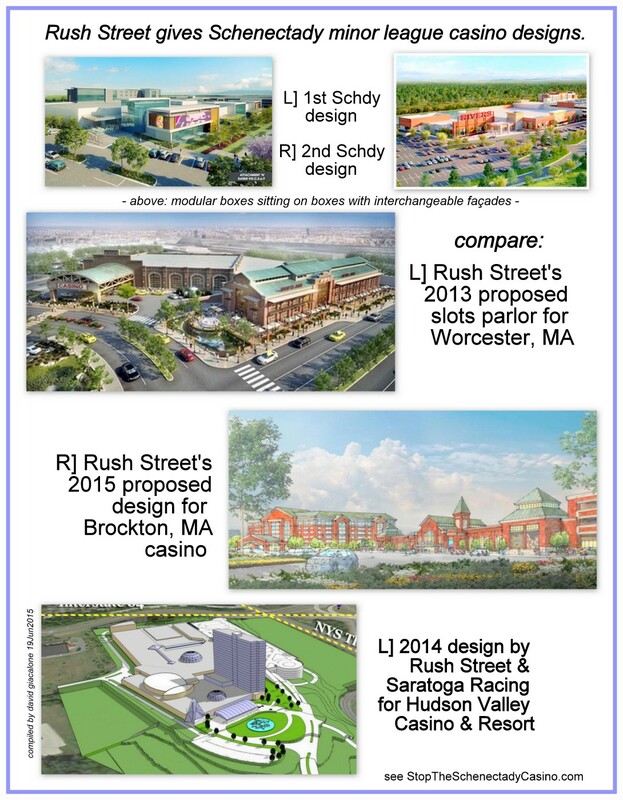 Architectural Comparison: There is at least one more significant way in which Rush Street has treated Brockton better then Schenectady: Neil Bluhm is planning a project at the Brockton fairgrounds that actually looks like it could be both a “destination resort” and part of a New England community, rather than a retread of his Midwest Des Plaines Casino, which has the charisma of a 1970s shopping mall or branch bank (see images above this paragraph). 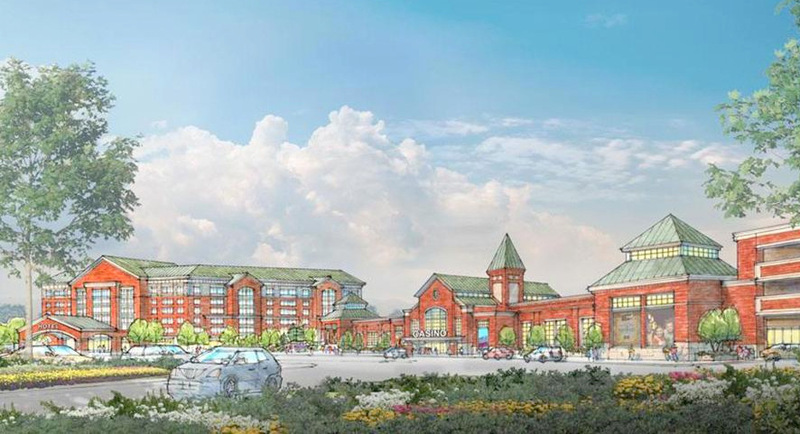 The Boston Globe said the Brockton proposal was a sprawling plan reminiscent of a New England college campus. I have wondered since last summer why no one at City Hall, the County Building, or Metroplex sent Rush Street back to the drawing board to come up with a design worthy of our City, perhaps in sync with the look and feel of our Historic Stockade District. I wonder if Brockton’s Mayor did just that, or if Rush Street decided from the start to go show Brockton more design respect than Schenectady has received. 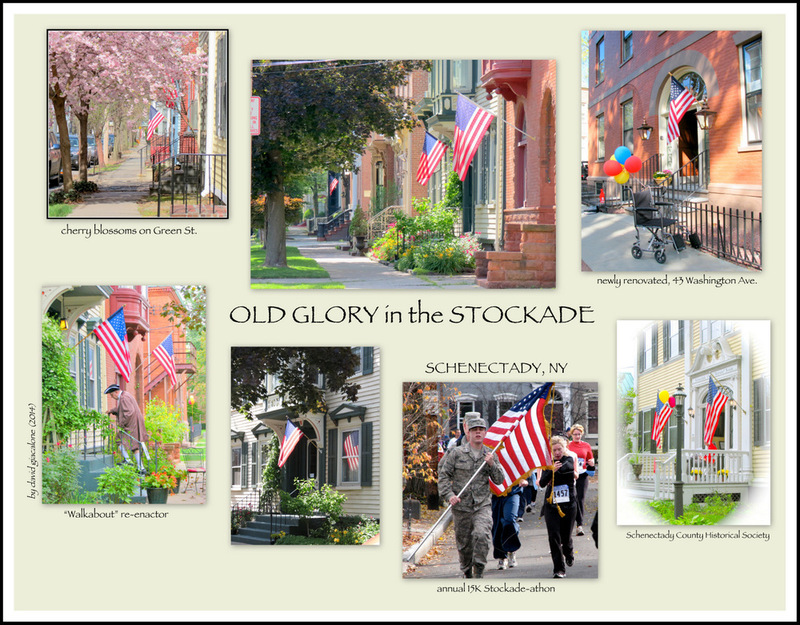 By the way, in its environmental remarks to the Location Board, concerning impacting nearby neighborhoods or historic sites, Rush Street the Applicant said there are design elements of the project that reflect the Stockade influence. Perhaps they mean the cherry blossoms that will apparently bloom all year long at Mohawk Harbor’s Casino, but only about a week in the real Stockade District. PHILADELPHIA, PA . . .
We have in Philadelphia’s SugarHouse Casino additional, strong evidence that Mayor McCarthy and his Legal and Planning Departments have underperformed immensely in dealing with Rush Street and Galesi on behalf of the people of Schenectady. The Philadelphia casino is operated by Rush Street Gaming and owned by SugarHouse HSP Gaming, LP, which are both controlled by Neil Bluhm and his family. SugarHouse gives us a telling demonstration of just what happens when a City and community actually bargain with Rush Street, rather than grovel like desperate and helpless supplicants. Schenectady residents focused on lowering property taxes, as well as those interested in funding projects to combat expected social and neighborhood issues, should pay particular attention to the Philadelphia story. Note: In December 2011, the Philadelphia Zoning Code was revamped and reorganized, but its casino district provisions were only renumbered to §14-405, and renamed, without changing their substance. The district is now called SP-ENT (Special Purpose-Entertainment). For those interested in making a comparison, the Repealed Casino District provisions can be found here. Click on this link for the current SP-ENT provisions. 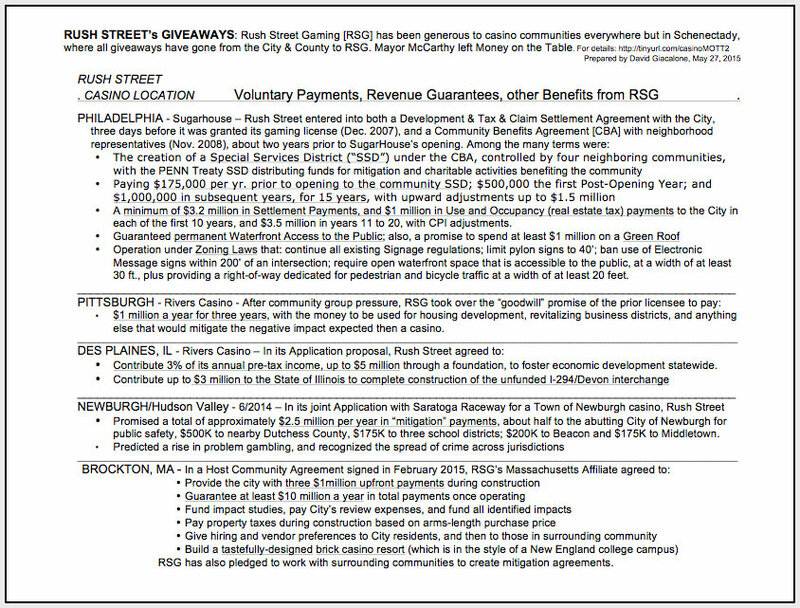 Not only did Rush Street Gaming enter into a comprehensive Community Benefits Agreement with Philadelphia for its SugarHouse casino, it went beyond the elements customarily found across the nation in development CBAs by agreeing to the creation of a Special Services District (“SSD”), controlled by four neighboring communities, to administer the CBA on behalf of the Community. The resulting SSD is called the PENN Treaty Special Services District (“PENN Treaty SSD” or “PTSSD”). Click this link for the full text of the PENN Treaty SSD Articles of Incorporation and the SugarHouse CBA. Why “PENN Treaty”? According to legend, Pennsylvania founder William Penn signed his treaty of peace with the local Lenape tribe under an elm tree just off the Delaware River in 1683, at a riverfront spot near SugarHouse. The tree fell down in a storm in 1810, but the site was dedicated in 1894 and named PENN Treaty Park. 2. Special Services District: The Community Benefits Agreement includes setting up a Special Services District, called PENN Treaty SSD (“PTSSD”), which is a nonprofit organization formed and controlled by volunteers from the four Neighboring Communities that border on the Casino. As PTSSD states on its web homepage, it distributes grants and sponsorships to organizations that provide charitable benefits to the residents of the SSD. PTSSD started operations in January 2010, nine months before SugarHouse opened for business. 3. Funding: It took two years of continued wrangling, but the Casino eventually began making the required payments under the CBA and the Special Services District has been sharing those funds since that time with the communities of Fishtown, Northern Liberties, South Kensington and Old Richmond. 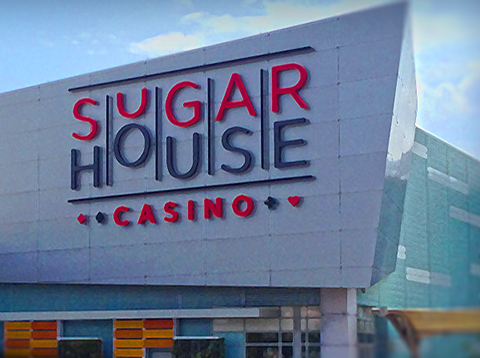 2.SugarHouse agreed to pay $175,000 each year during the Pre-Opening period; $500,000 the first Post-Opening Year; and $1,000,000 in subsequent years, for 15 years, with upward adjustments up to $1.5 million. 4. Waterfront Access: SugarHouse agreed that “in no event shall such access be more limited than provided in the [Development Agreement it made with the City]”. As a result, as detailed at pp. 6-7 of the Development Agreement, once SugarHouse completed its Waterfront Promenade (during its first phase of construction), it must permit “substantial public access . . at all times along its waterfront pursuant to a mutually satisfactory agreement concerning such access,” with street entry from both north and south ends of the Casino complex, and with very limited partial restriction allowed for special events and safety reasons. 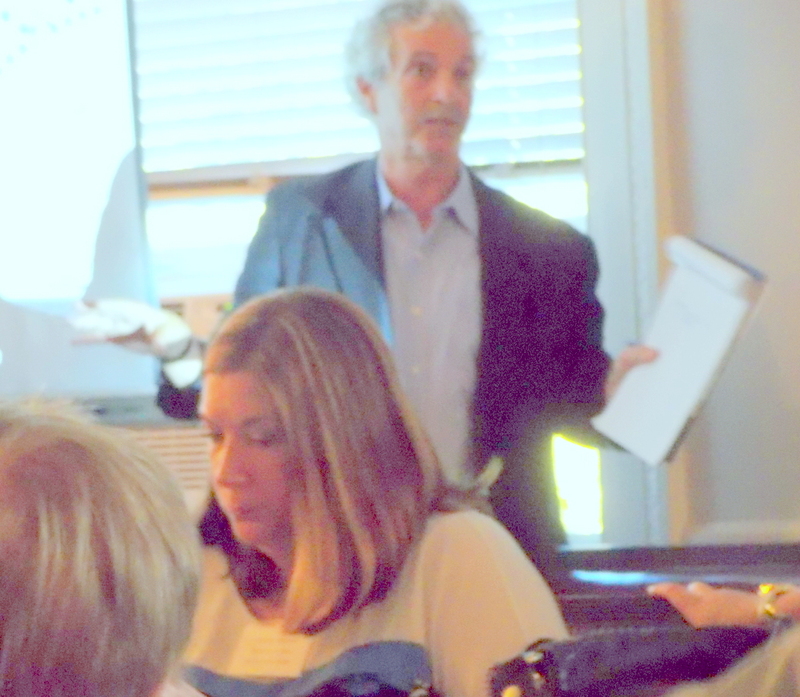 SugarHouse must also consult with the SSD on a regular basis regarding access to the waterfront. Note: This is of course, quite different from the situation in Schenectady, where Rush Street and City Hall collaborated to remove a public access guarantee from its C-3 Waterfront zoning provision: with Council Member Leesa Perazzo inanely explaining “we don’t need it because they’re going to do it anyway,” and Director of Development Jaclyn Mancini pointing out that “they’ll have access to the retail shops,” as if being able to shop at Mohawk Harbor retail establishments was in question and is equivalent to being able to freely enjoy the waterfront. When the topic of public access came up before the Planning Commission, Galesi Group’s CEO and representative Dave Buicko twice said “it’s private property”, and he admitted they want people to come as customers. 5. Promotion of Local Businesses. SugarHouse must operate a Promotional Player Program with points redeemable at local businesses and must keep a list of businesses offering discounts to SugarHouse players’ club members. 6.Traffic. Miscellaneous obligations are undertaken by SugarHouse aimed at minimizing “disruption caused by increased or modified traffic” related to the development and operation of SugarHouse. For example, free parking must be provided for employees and casino guests to prevent spillover to neighboring streets. Also, a one-time $5000 payment was made to allow for free car washes for those nearby affected by construction dust. •Security, Safety, Medical Emergencies: SugarHouse will fund private security for its complex sufficient to maintain the peace; will pay for expenses related to 911 emergency calls from the Casino; and will provide or fund ambulance service for medical emergencies at the Casino. •Traffic Report. In the first and third years of operation, SugarHouse must do a traffic count at specified intersections and provide a plan to remedy any failure to reach goals set forth in certain Traffic Letters. • Specified Settlement Payments and Use and Occupancy (property tax) Payments: Specific Dollar Amounts are pledged (see p. 10), with a minimum of $3.2 million in Settlement Payments, and $1 million in Use and Occupancy payments in each of the first 10 years, and $3.5 million in years 11 to 20, with CPI adjustments. •Waterfront Access. As discussed above in the CBA section, the Development Agreement (at 6-7) sets forth numerous public access requirements, and explains limited restrictions on access that might be imposed due to special events, construction, and safety concerns. It’s only been four weeks since the Schenectady City Council passed a resolution allowing commercial electronic variable message signs (“CEVMS”), also known as electronic message boards, to change every 8 seconds, rather than the 60-second interval that was the minimum allowed between changes under the prior zoning code, §264-61 I(3). 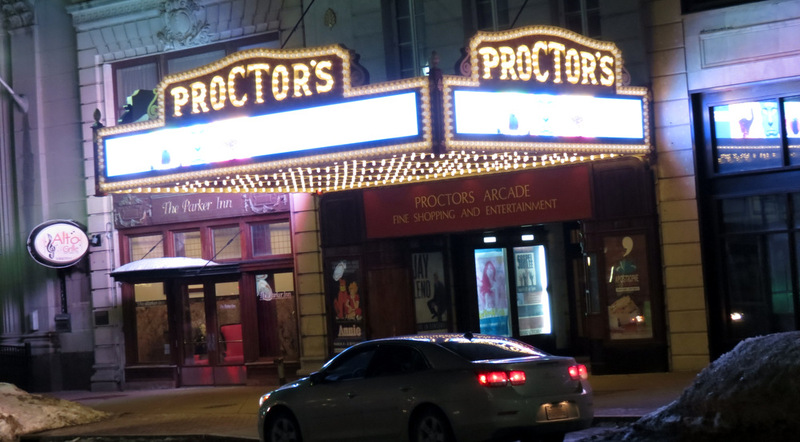 Proctors [there has been no apostrophe in its official name since 2007, despite the one on the marquee] has, however, already adopted the significantly shorter interval. Its electronic marquee signs along State Street near Jay, now have intensely bright, colorful, quickly-changing ads for its upcoming performances that are designed to attract attention, and public service announcements, while spotlighting their corporate sponsors, The Times Union and Keeler Motor Car Company. The marquee appears to have the same message on all three sides most of the time, but occasionally the messages differ. As discussed at length below, these changes raise important questions about the lawfulness of the CEVMS display and its potential threat to public safety. Thanks for raising this issue, which impacts the safety and aesthetics of our busy roadways and neighborhoods. 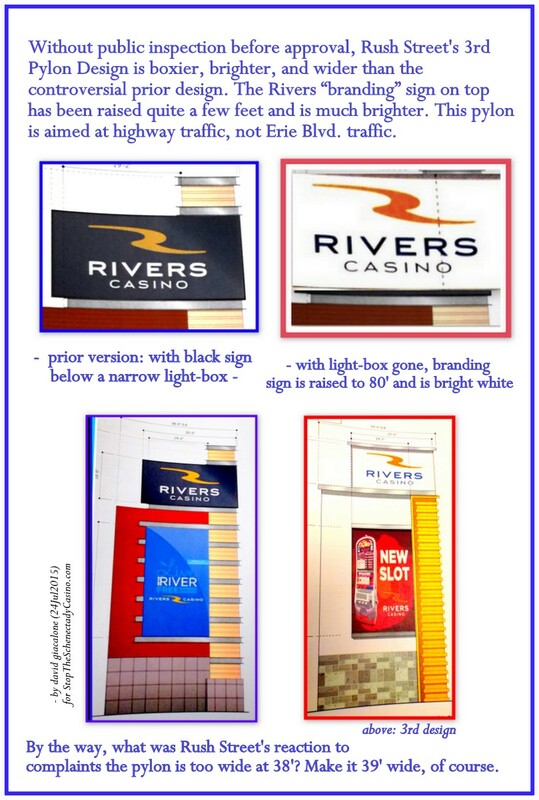 Please write again to address the proliferation of these signs in Schenectady, since City Hall favorites Proctors, Galesi, and Rivers Casino asked in 2015 for signs that change much more often, and are larger, brighter and closer to roadways. 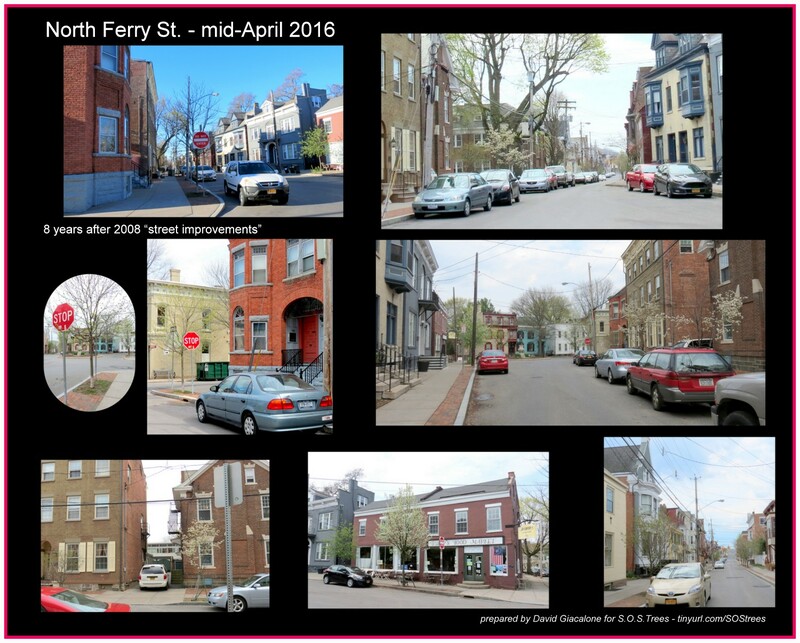 To serve these favorites, as opposed to the public, the City (including the Planning Commission and Board of Zoning Appeals) has basically overlooked all issues related to traffic safety (vehicles and pedestrians) and the impact on residents and ambiance. The Zoning Law requirement that an applicant demonstrate the lack of negative impact on safety and the environment [which includes the nature of the neighborhood] has been totally ignored, with one-sentence assertions that there will be no impact accepted without any questions. The large, strikingly bright sign at Erie Blvd. and Freeman’s Bridge for the Lighthouse Restaurant, and permission for an LCD screen for Mohawk Harbor at Mohawk Harborway on Erie Boulevard, and for Crosstown Plaza (atop the grandfathered tallest sign in the City, at one of the most dangerous intersections), are recent examples. 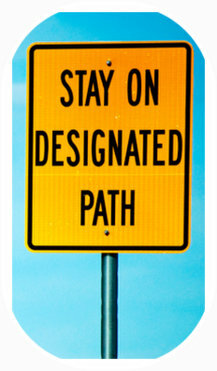 See http://tinyurl.com/ProctorsCEVMS for a history of this issue in Schenectady and a list of topics and questions the NYS DOT and other experts consider when using such signs. 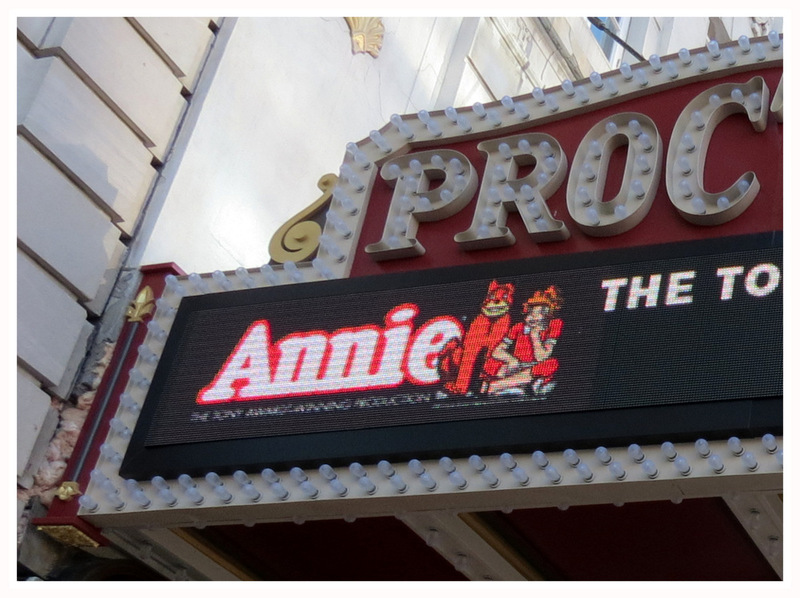 The following 19-second video is presented in its original, unedited form to show a bit of the current marquee experience on the Proctors block. During those 19 seconds, the image on the signs changes four times. Of course, the effect and affect of the Marquee can not be captured by either a still photo or a video clip viewed on a computer screen. 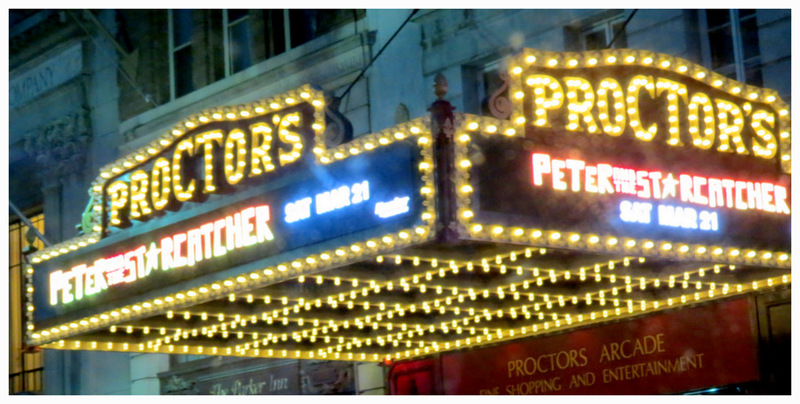 Does Proctors Need a Special Use Permit? Is it lawful for Proctors to make this significant change in its marquee’s electronic signage without seeking a Special Use Permit from the City’s Planning Commission? Schenectady’s Zoning Code, §264-61(I), requires that a special use permit be issued by the Planning Commission before an electronic message board is permitted. As shown in the image immediately below, in order to protect the public from any substantial neighborhood disruption, or threats to traffic conditions, or to the public health or safety, the owner/applicant of any such sign must show at a public hearing that the proposed sign will have no such negative impact. *followup: Sorry for the inconvenience, but at least since the City’s website was revamped, the above Sign Approvals notice was removed from the Development Office webpage, and the word Sign no longer appears there, nor on the Building Inspector/Code Enforcement Page, or the Board of Zoning Appeals page. Whatever potential safety hazard the Proctors marquee might have posed when it changed once every minute, its changing every eight seconds surely represents a significant change in the signage, with a substantially greater threat to traffic conditions and public safety that should be fully evaluated by the Planning Commission after a public hearing. As is outlined more fully below in the discussion of factors affecting the safety of CEVMS displays, the curbside location of the Proctors marquee, at the center of our busiest downtown block, makes it the very situation that most calls for review under §264-61(I). 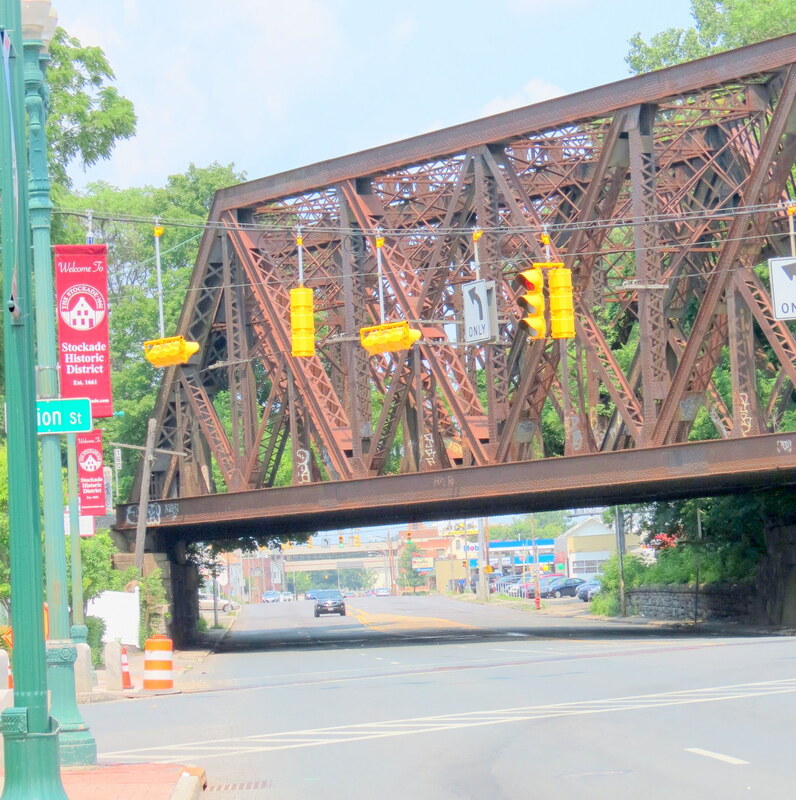 Background Note: In September 2013, the NYS Department of Transportation (NYSDOT) announced a program to increase pedestrian safety along the 15-mile Route 5 Corridor, which stretches from State Street in Albany, through Colonie and Niskayuna, where it is called Central Avenue, and then Schenectady’s State Street. 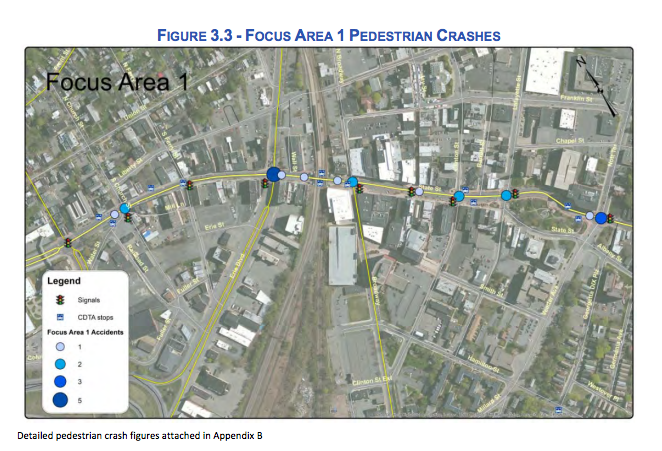 In addition to increased enforcement of traffic laws and education, DOT planned a detailed study of pedestrian-related accidents on the Rt. 5 Corridor, focusing on the 8 segments of Rt. 5 with the most pedestrian-vehicle accidents and interactions. 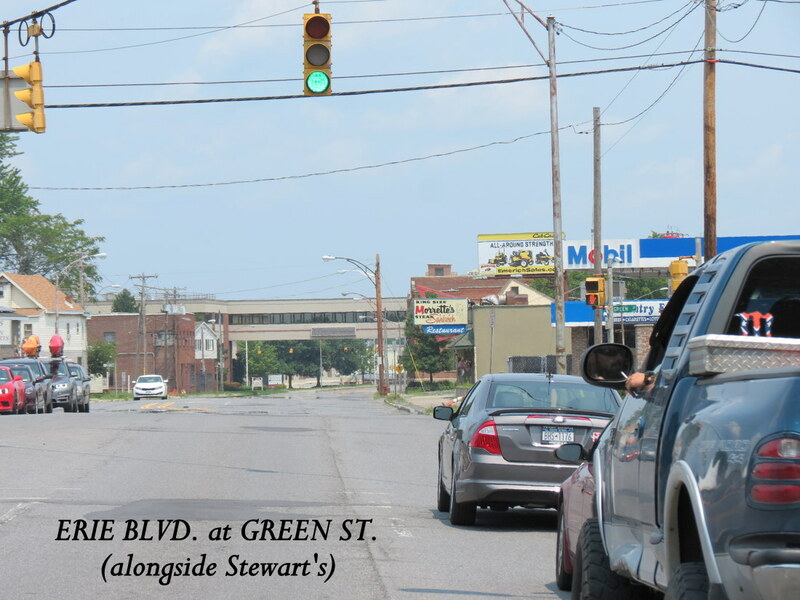 See, “Safety improvements coming to Central Avenue” at WGY.com. Some would argue quite cogently that no interval less than 60 seconds is appropriate at the Proctors site on State Street. However, if a shorter minimum interval between message changes is to be permitted, the factors presented near State and Jay Streets seem to call for intervals significantly longer than every 8 seconds. The New York State Department of Transportation has explicitly stated that their 8-second criterion is merely a minimum standard, and local standards that are more stringent would govern in a particular situation. See Criteria for Regulating Off-Premises Commercial Electronic Variable Message Signs (CEVMS) in New York State (“DOT CEVMS Criteria Statement”). 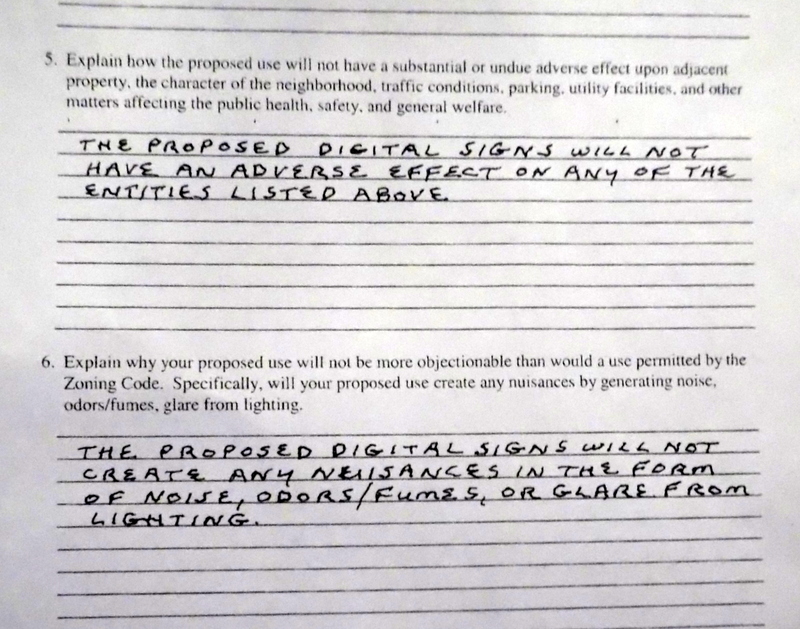 The primary question is whether Proctors, or any other owner of an existing electronic sign in Schenectady with variable messages, may lawfully change to the shorter interval without seeking permission from the Planning Commission? To avoid any confusion, the amendment to our electric message board ordinance that was promulgated last month should have explicitly stated that any speed-up of an electronic sign visible from a public roadway or residential zone must receive another special use permit. It did not, and I do not know whether the oversight was intentional or accidental. Given the clear purpose and goals of §61(I), the Code Enforcement Office (and the public) should demand prior use of the special use permit process. Driving west up State Street, a driver can see the changing displays on both the front and side panels of the Proctors marquee, as he or she heads toward the traffic signal at Jay Street, which is at the south end of a one-block pedestrian mall. Heading east on State Street, a driver can see both the side message board and the front one at the same time, for quite a distance on that busy, confusing block. He or she can also see the flashing reflection of the marquee display in a window that is on a wall perpendicular to the marquee. In addition, the driver heading east can see the changing electronic sign above the doorway for Proctors Apostrophé cafe’ and ticket counter, with it crammed lettering. 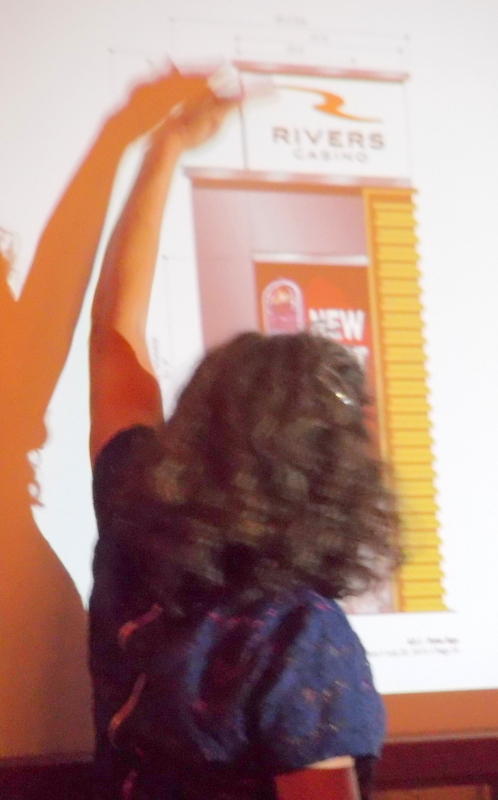 Rather than being 300′ from the marquee, the lounge’s 8-second electronic message board is less than 30 feet away. This situation is clearly inconsistent with the NYS DOT spacing requirement for off-premise CEVMS signs, causing added distraction and confusion on what is perhaps the busiest and narrowest part of State Street, at the heart of Schenectady’s downtown district, and with arguably the greatest parking woes and most jaywalking of any block in the City. 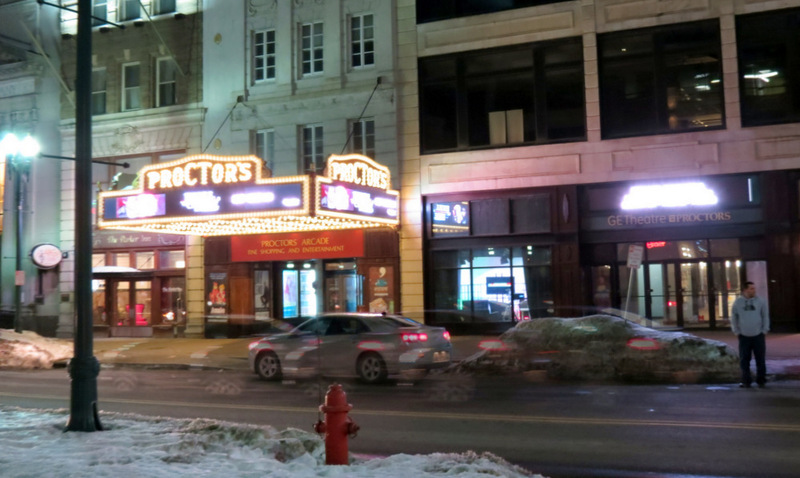 Of course, the location of the Proctors’ marquee on the theater’s premises (viz., attached to the building) in no way affects its ability to distract drivers and pedestrians, and is clearly relevant to assessing its potential adverse safety effects. The brightness of CEVMS is not only potentially distracting due to its ability to attract increased attention, but may also create problems with dark adaptation among older drivers. In order to minimize these dangers, the brightness of this technology should be constrained such that CEVMS do not appear brighter to drivers than existing static billboards. Members of the public rarely have the ability to measure illumination readily at hand. We end up just “eyeballing” the display, and perhaps looking for our sunglasses. But, the City’s code enforcement office certainly has the capability to measure illumination. Both of the shorthand criteria mentioned in the DOT Statement — not appearing brighter than in daytime and not appearing brighter to drivers than existing static billboards seem problematic enough to warrant the short trip from City Hall to Proctors to evaluate the situation from the DOT CEVMS perspective, as well as under the City’s Code. 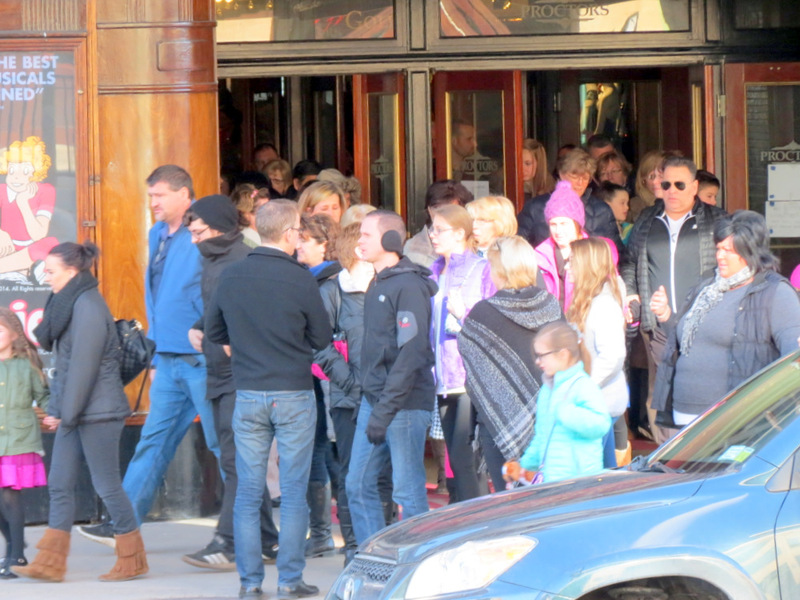 The following slideshow gives a glimpse at the things theater-goers do when exiting Proctors. 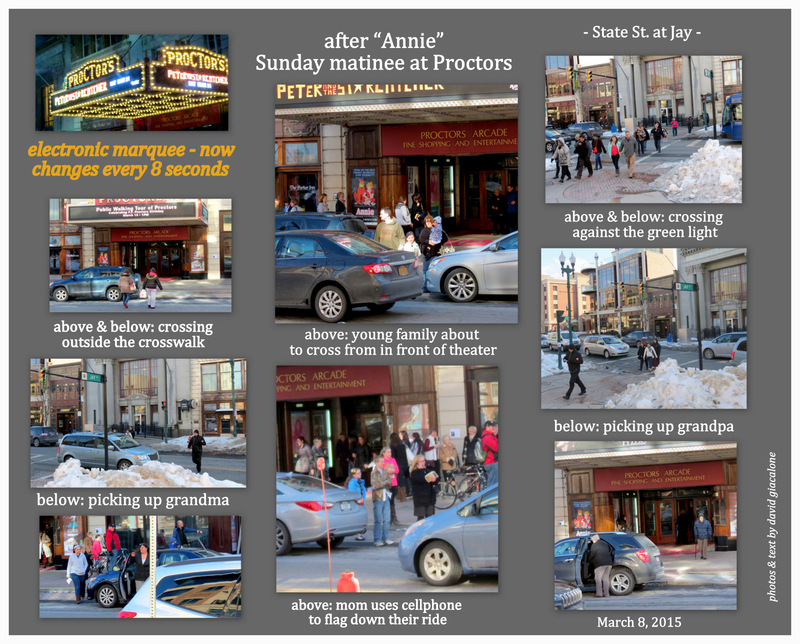 All daytime photos were taken over a 17-minute span on a cold and windy afternoon, when the Sunday matinee of “Annie” was letting out, March 8, 2015. 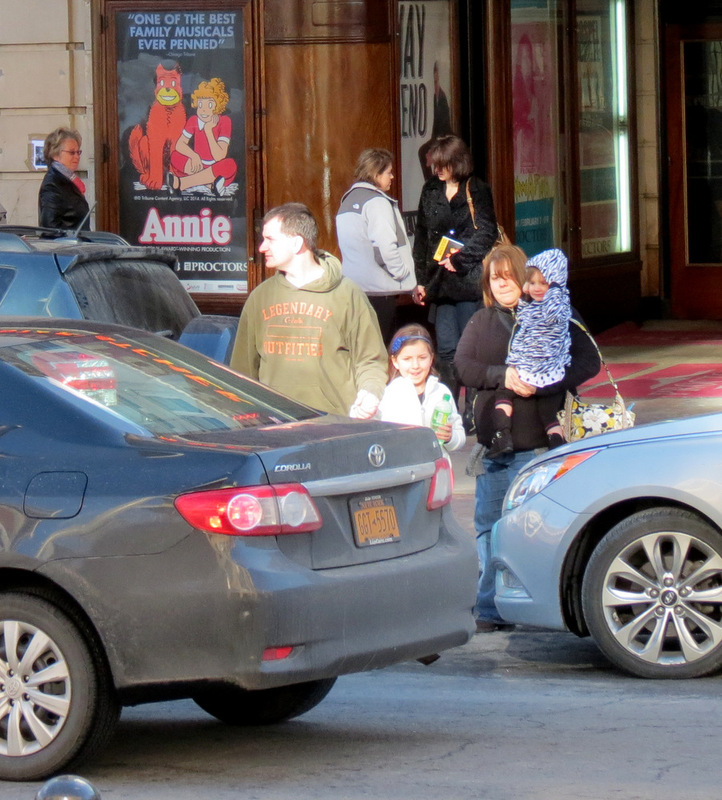 Drivers passing by Proctors or trying to pick up theater goers when Annie was letting out needed to be mindful of the pedestrians and their rides, the traffic signal at Jay Street, and vehicles leaving parking spaces, rather than being distracted by a quickly-changing, bright and colorful sign with information that is (1) difficult to fully comprehend, because of font size, brightness, short duration, etc. ; (2) not immediately needed by patrons for getting to Proctors or finding parking; and (3) easy to attain from many other sources. Were it dark, with precipitation or ice making the road and sidewalks slippery, or perhaps winds and frigid temperatures pressuring parents and older theater-goers to find shelter as soon as possible, even more attention on the demands of driving would be needed, whether driving through, picking up passengers, or safely exiting parking spaces. Is the risk to public safety worth taking so that Proctors can show-off with a little more pizzazz? 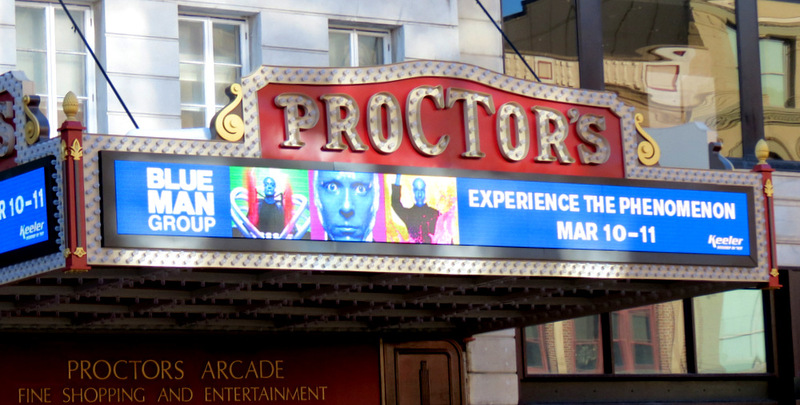 Does Proctors need bright, quickly-changing messages to distinguish it from any other business or institution in downtown Schenectady? Do Mssrs. Philip Morris and Ray Gillen contend that the flashing marquee is not there to attract the attention of passers-by? 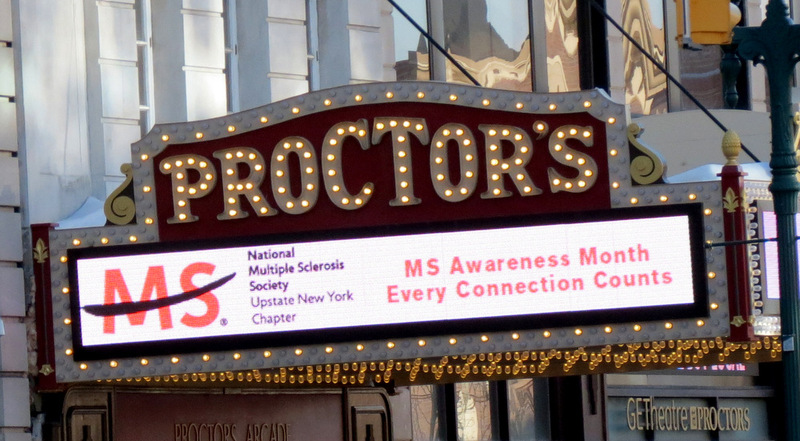 Isn’t the situation at Proctors precisely what the drafters had in mind when the protection of a special use permit and required findings on the impact on traffic, health and safety were placed in Schenectady’s ordinance regulating the use of commercial electronic message signs? It is not my intention to revisit all of the electronic message boards that have received Special Use Permits over the past 15 years. The special use permits were issued with the ability to change messages at rates set by the City Council. That continues to be the case even though the time period has changed. As for items 2 and 3 below in your email, those are D.O.T. regulations over which the city of Schenectady has no enforcement authority. Thank you for your concern on this issue. – Is it your position that increasing the rate of change on an electronic message board from a 60-second interval to an 8-second interval is not significant enough an alteration to warrant another review? – Is it your position that the showing needed to get a permit for changes at once per minute is adequate to satisfy the traffic and safety issues that would need to be demonstrated for a permit to change a sign every 8 seconds, at one of the most sensitive locations in the City for signs that basically abut the road? 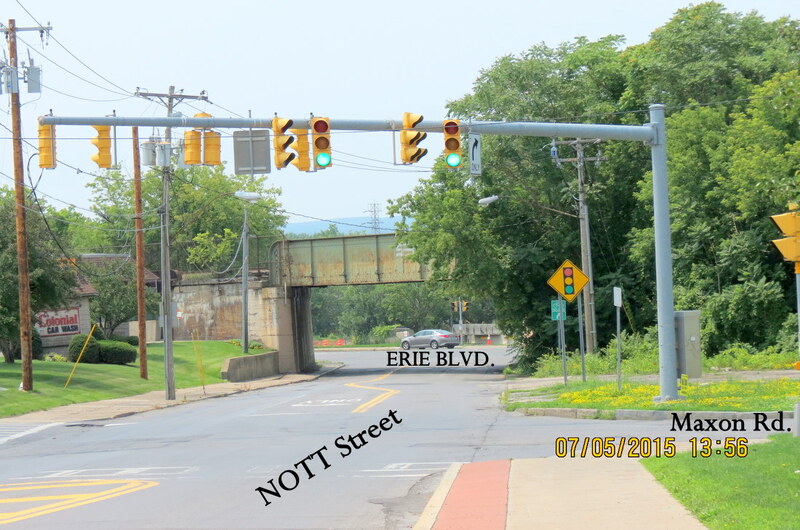 Of course, I don’t expect Schenectady to enforce the DOT regulations, but as you surely know (1) they are a good standard [promulgated after study and consideration by experts] regarding safety and traffic issues that are relevant to the showing required under §264-61 (I)(2), and (2) the City Council and Planning Commission both said the change to 8 seconds was done to be consistent with the DOT Standards. Why would you ignore the DOT standards meant to safeguard the public that were meant to complement the 8-second interval? FOILED. No response was made by the Schenectady Zoning Office, or any other of the copied officials, to my March 20, 2015 reply. That same day, I submitted a FOIL request for all documents relating to application(s) by Proctors to operate variable electronic sign displays. The FOIL office responded by sending me only one document, the Decision Letter, dated Sept. 27, 2013. It does not mention interval speed. Moreover, the 09/18/2013 Minutes of the Planning Commission (see pp. 3-4) meeting, at which the SUP was approved, makes no mention of the minimum change interval for the electronic display. When the FOIL office suggested I needed to file another FOIL request for the additional documents relating to the application of Proctors for the September 2013 special use permit, I complied rather than complaining that they should have included those documents, filing on April 15, 2015, and am waiting to see if Proctors submitted the SUP Application Form that is required by the Planning Office. Thus, no supplemental application for a Special Use Permit was required before Proctors put up the much faster variable message board, because it already had a special use permit for its much-slower digital sign. As expected, however, the Planning Office had approved the first digital marquee based on one sentence, with no facts or studies, or expert opinions, but instead simply denying there would be any adverse impact on public health or safety. Should we be concerned about short-interval CEVMS at Proctors? 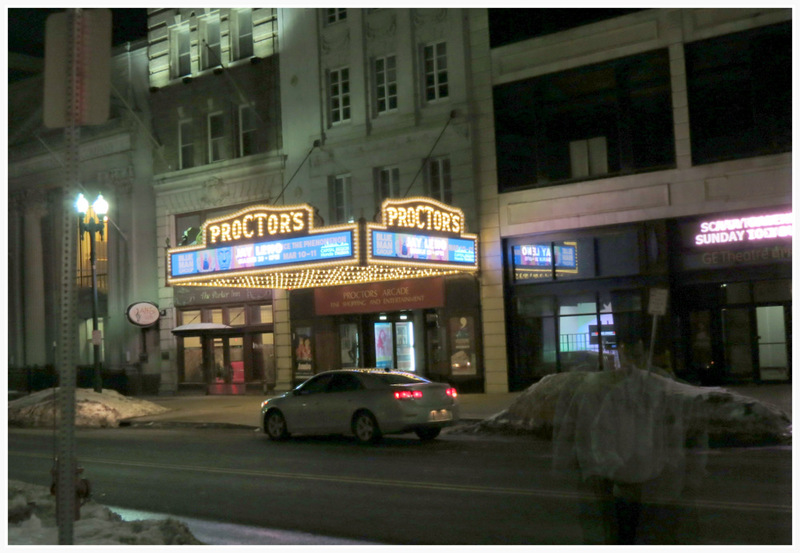 Is PROCTORS jazzed-up MARQUEE a preview of Casino Town? Last Friday, upon seeing the new, hyperactive display on Proctors marquee for the first time at night, I had to wonder: “If this is what Schenectady’s culture mavens think is tasteful signage, what should we expect from the Casino Gang over at Mohawk Harbor?” Is this a glimpse of our gaudy, distraction-filled future as Schenectady the Casino Town? For many images, and a video clip, of the marquee signage, and discussion of its threat to public safety and traffic conditions at State and Jay Streets, see our comprehensive posting: “Proctors accelerated marquee messages look unsafe and unlawful“, which is being released simultaneously with this post. Speaking of Casino Town, the CEVMS “message board” on the front face of Proctors’ marquee is perhaps 50 sq. ft. of signage. So, it would take almost 400 of them to equal the 19,000 sq. 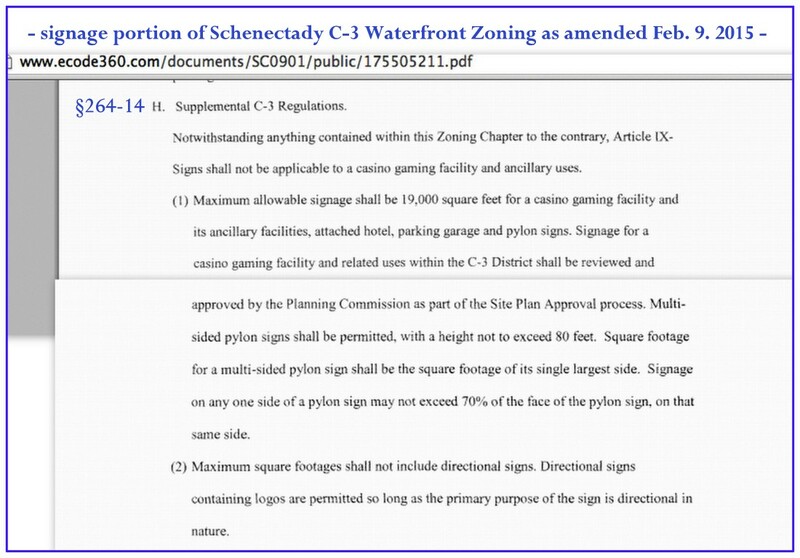 ft. of signs the City Council is allowing in just the casino portion of Mohawk Harbor. 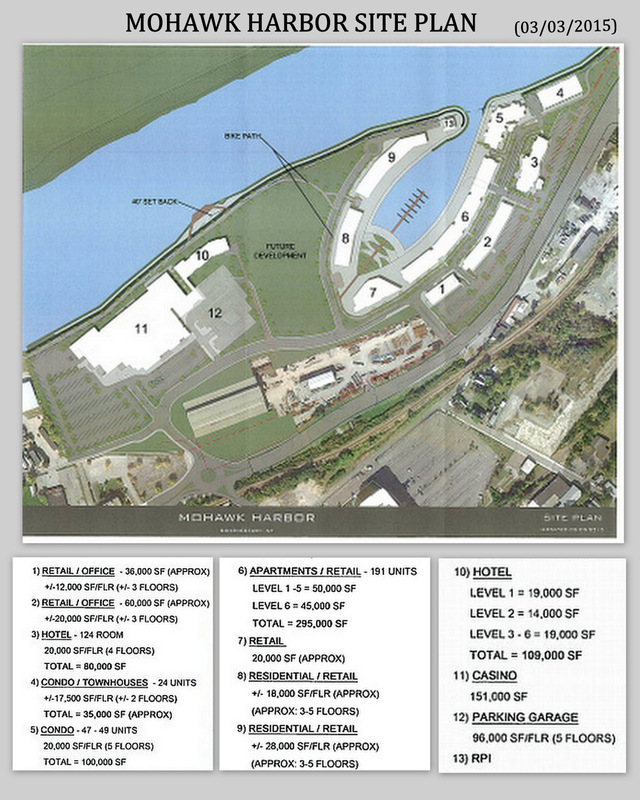 Above is the Site Plan submitted by The Galesi Group to the City Planning Commission yesterday, March 10, 2015.
Review of the Site Plan is slated to begin before the Commission on Tuesday, March 31, in a meeting to be held at 6:30 PM in Room 110 of the Schenectady City Hall. There is very little seating available, so plan to be there early, if you want to attend. 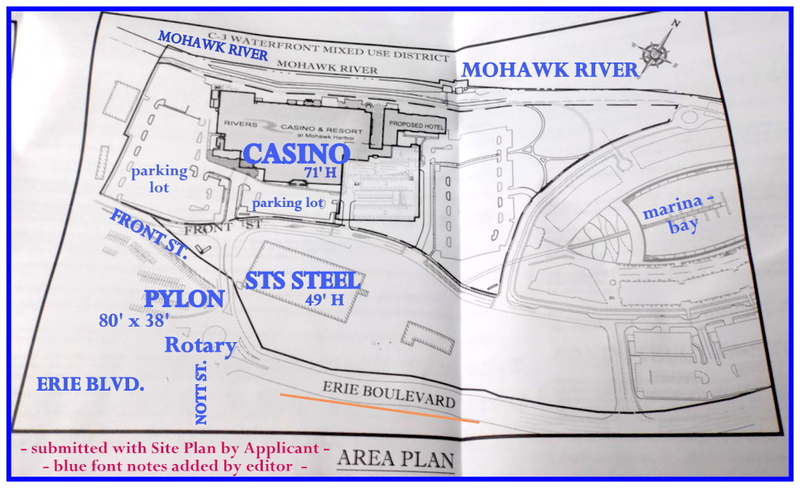 The above Site Plan is dated March 3, 2015, just 22 days after the City Council voted amendments to the C-3 waterfront zoning district, giving the Casino Gang everything they wanted (and more). Galesi CEO and spokesman David Buicko said they could not let the public or the Council see a site plan until they knew how tall their buildings could be. 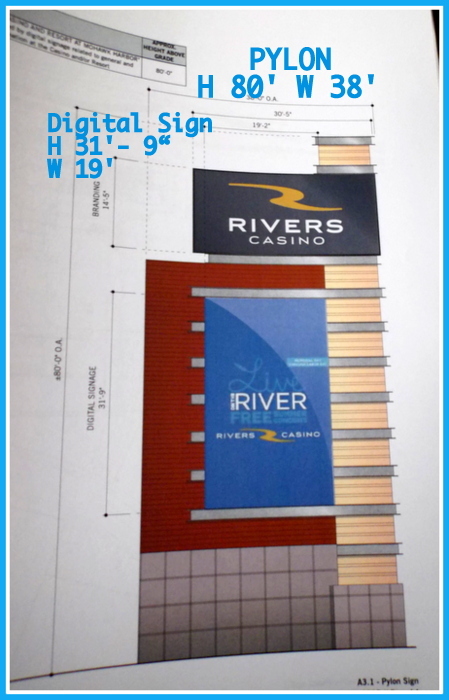 Nonetheless, the Site Plan they have submitted does not does tell us how tall the casino facility or its 6-level associated hotel will be. Over at the marina complex, we are told no specific height or even number of floors, only “3-5” floors or “+/- 3 floors”. 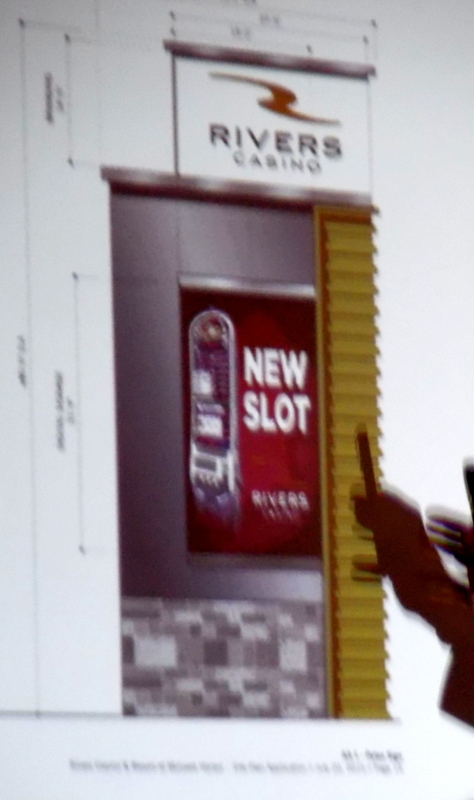 As Applicants to the Siting Location Board, Galesi and Rush Street Gaming said they would be operating their casino 23 months after receiving a gaming license from the NYS Gaming Commission. The gaming license has not yet been issued, and we must again ask just what all the rush was to force through the C-3 changes without first demanding more information from the Applicants and a lot more thoughtful evaluation by the Planning Commission and the City Council. 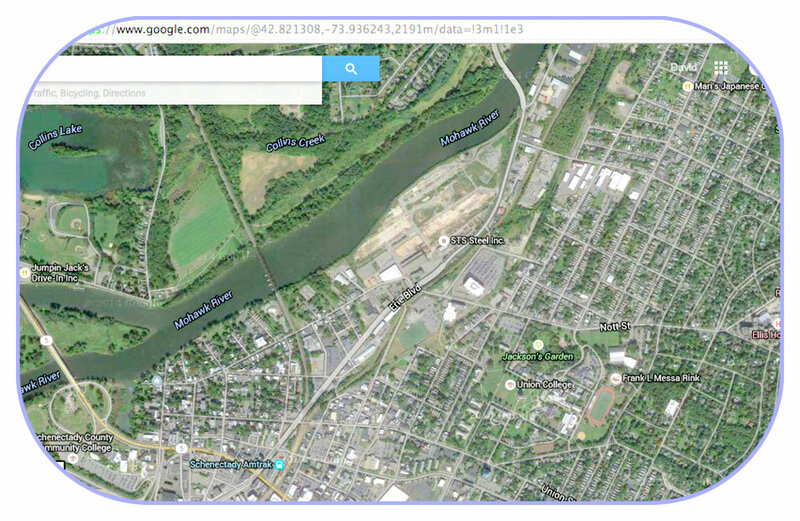 See Schenectady’s waterfront zoning: a rubber stamp in a Company Town? and zoning vote hands Casino Gang a blank check. . ..